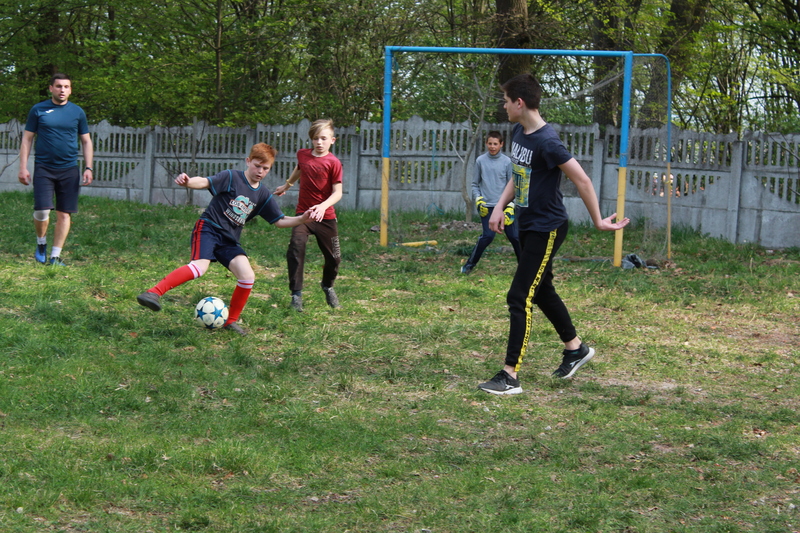 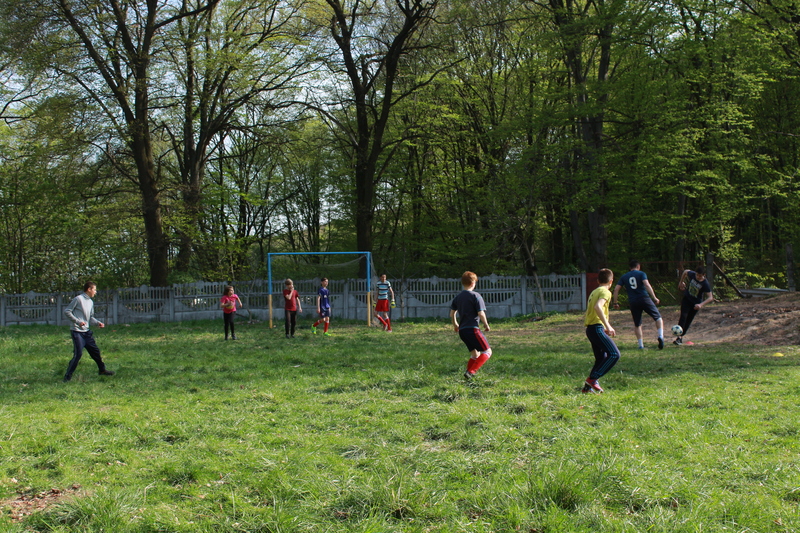 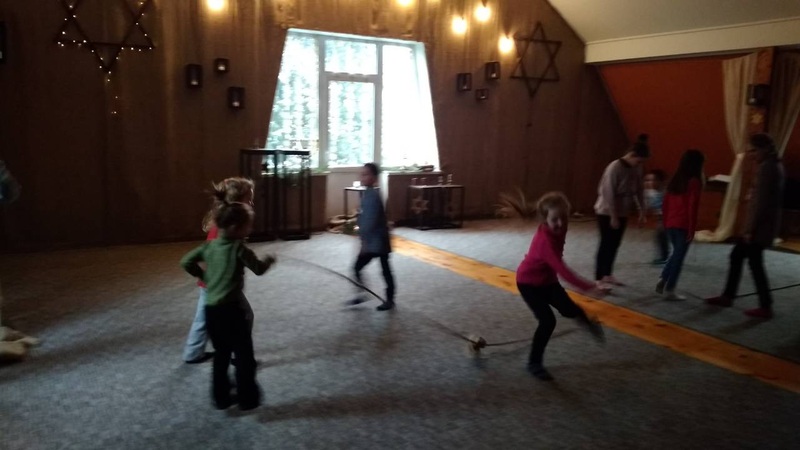 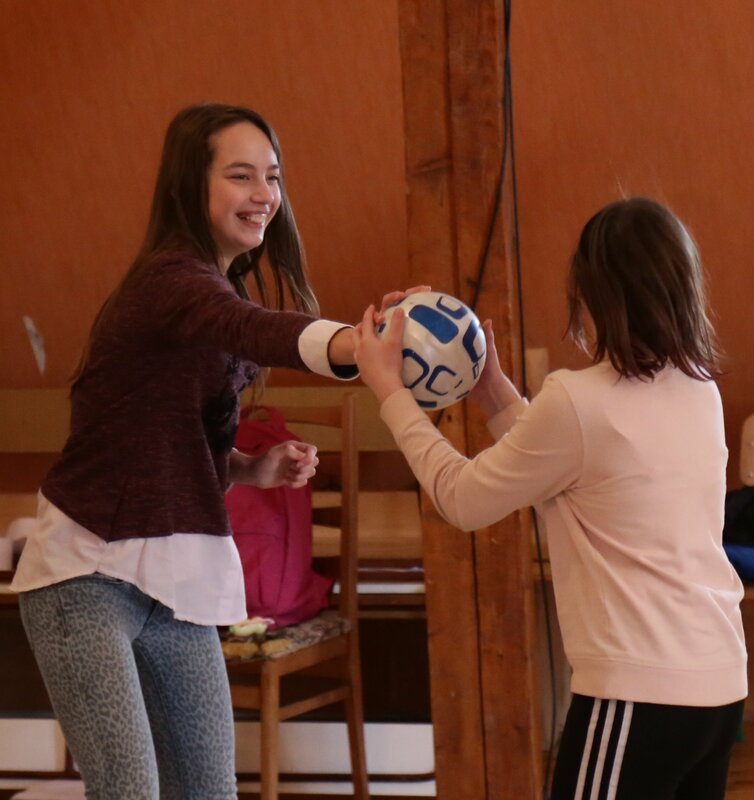 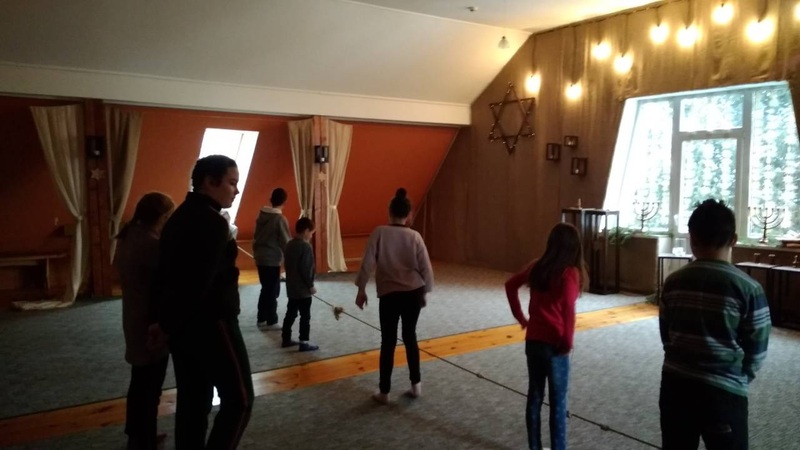 April, 2019 - Children from war zone arrived in Lviv for 2 weeks rehabilitation camp and today they had first soccer match on a camp ground where they staying. 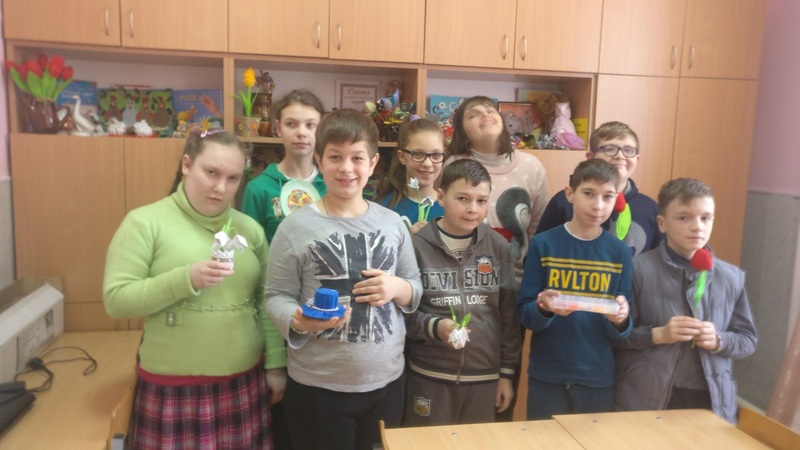 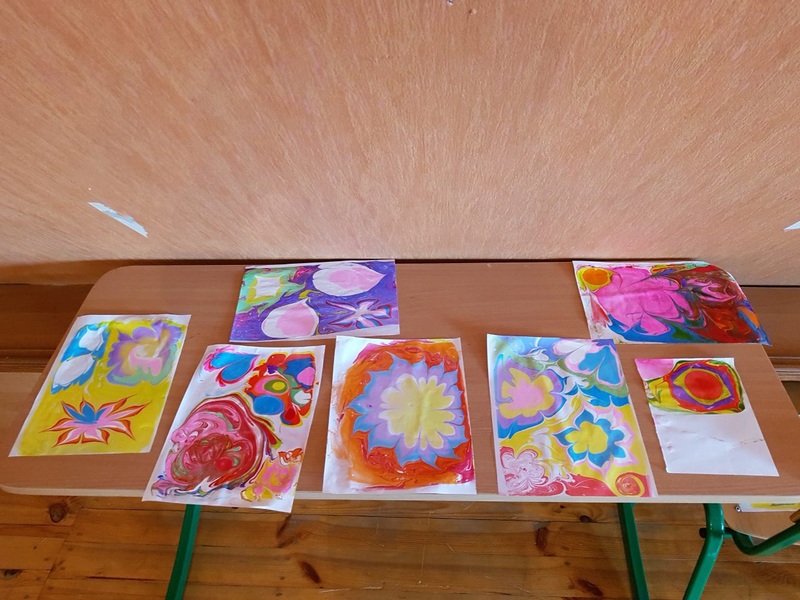 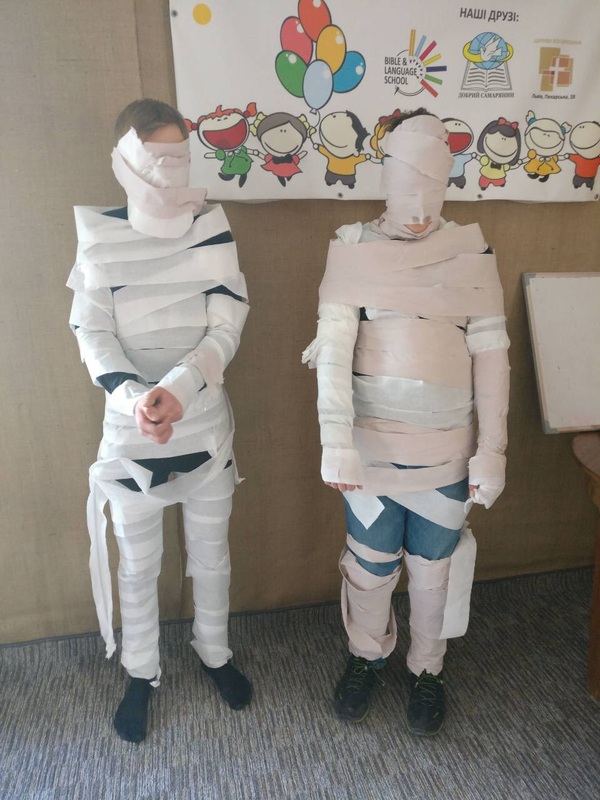 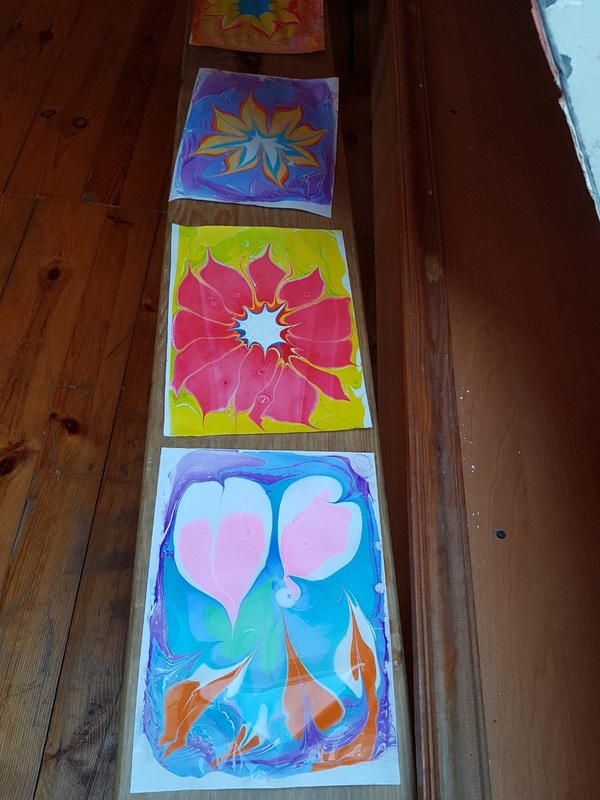 April, 2019 - Here is a brief thank you video from principle and teacher of school for special needs children in Ukraine that we have been supporting since last year. 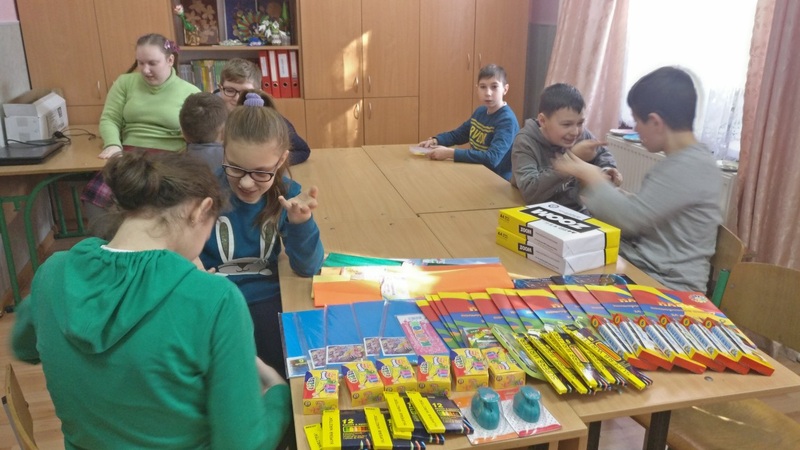 For our April event we were able to buy printer for this school so teachers have more tools to help these precious children. 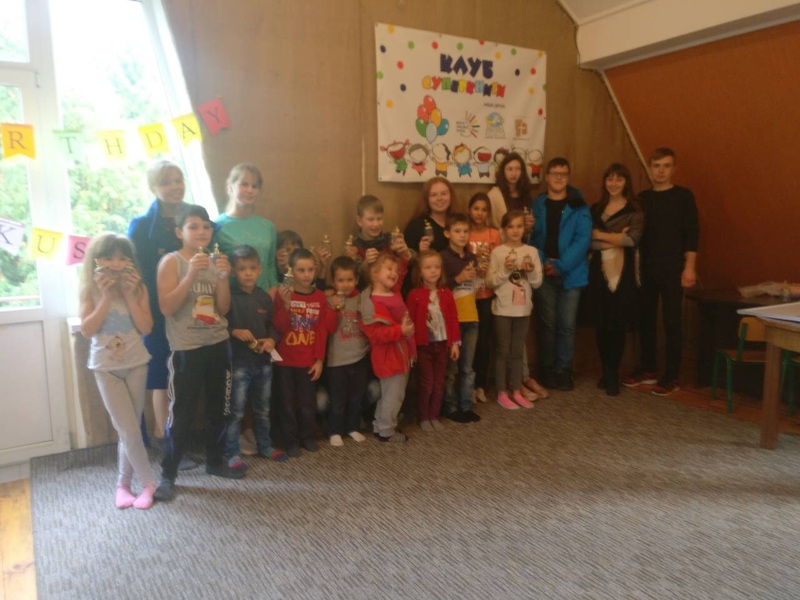 April, 2019 - Next week together with our partners in Ukraine we will be hosting 20 children from war zone (Bakhmut, Donetsk region) for 2 weeks rehabilitations camp in Lviv, Ukraine. 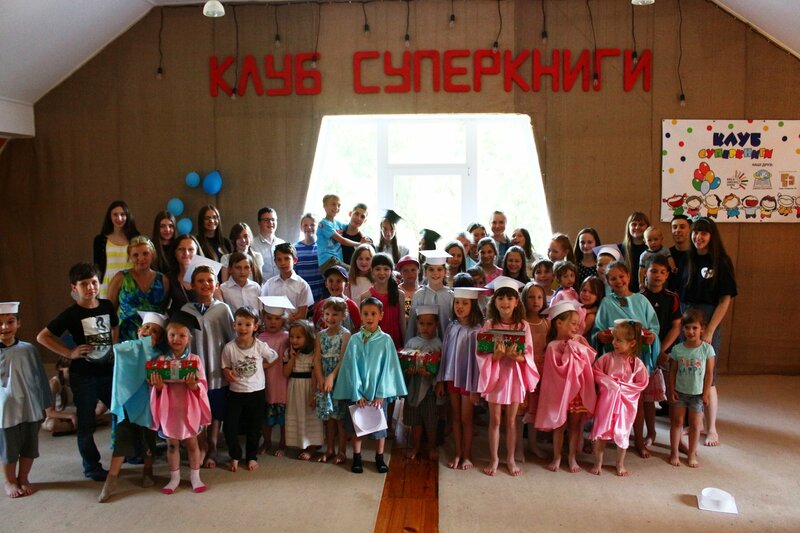 These children come from very poor families. 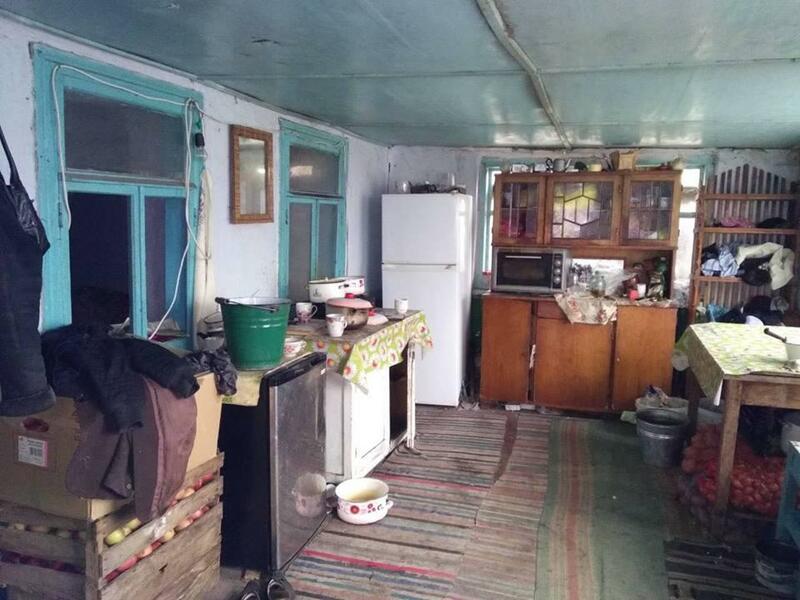 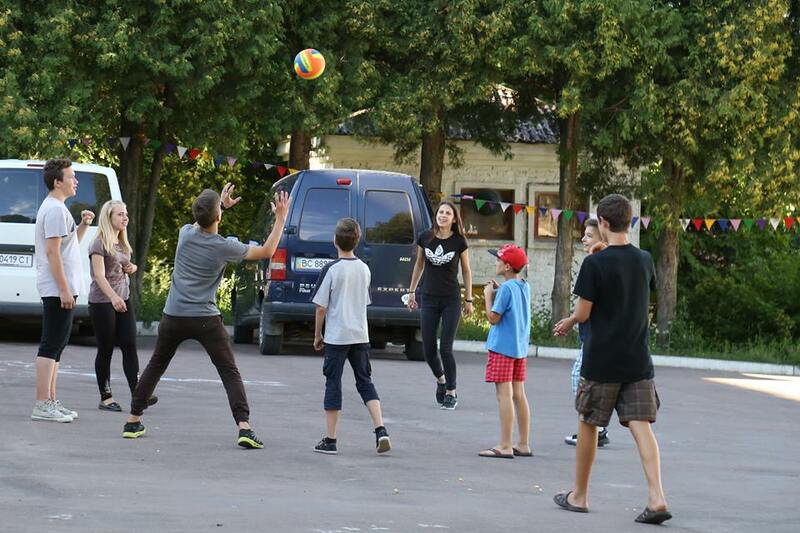 For past 5 years they been growing up under constant artillery shelling by Russian forces. 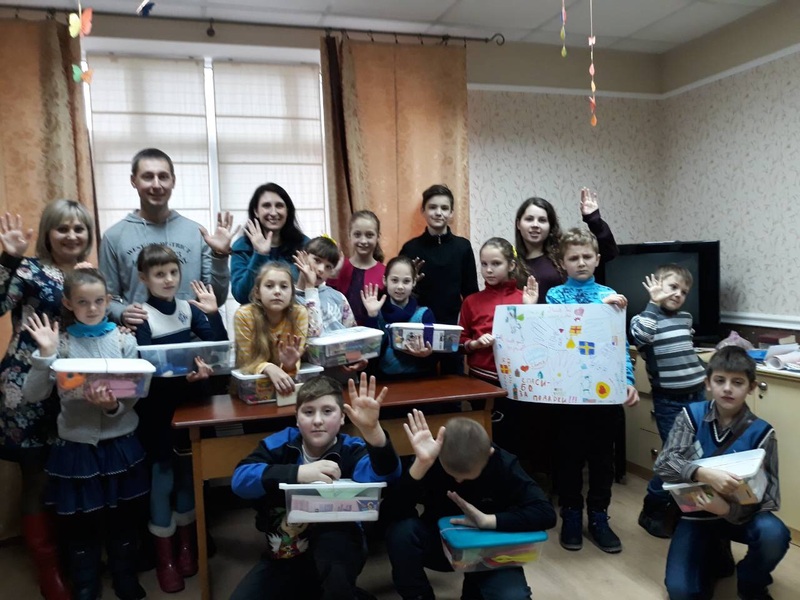 February, 2019 - Today our team visited children in school with mental disabilities and brought school supplies. 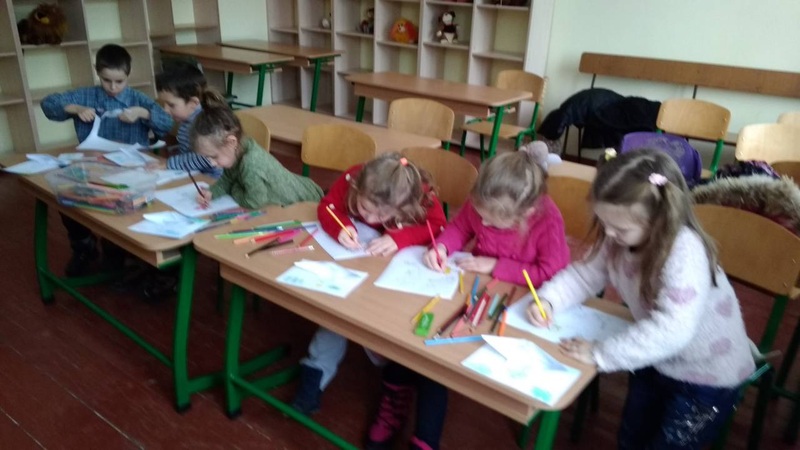 There are 230 children in this school. 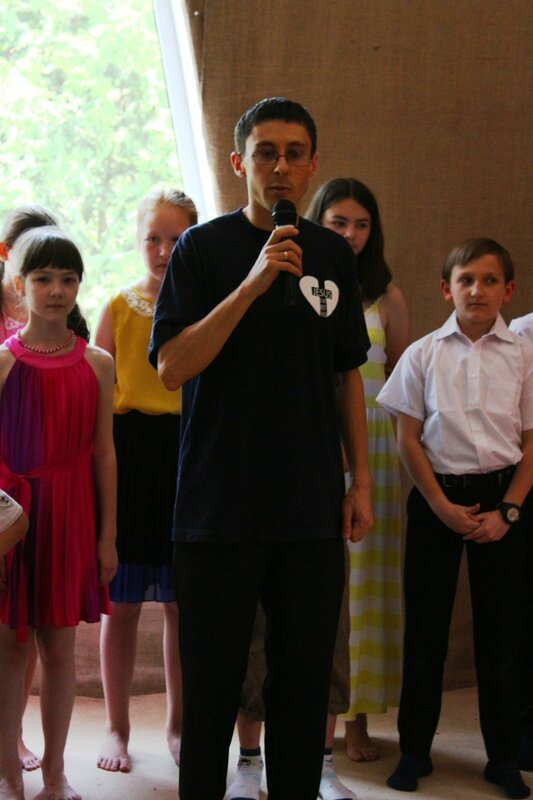 Thanks for all your donations, it because of you we are able to help these children. 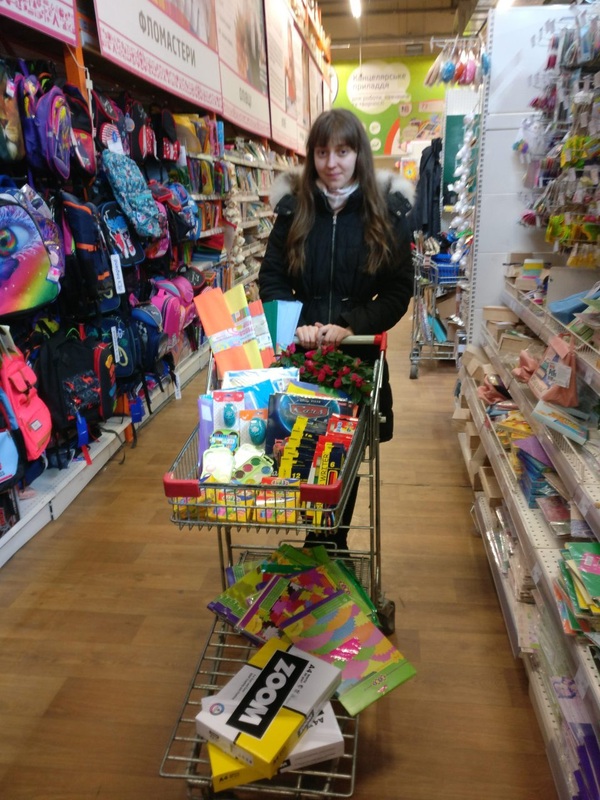 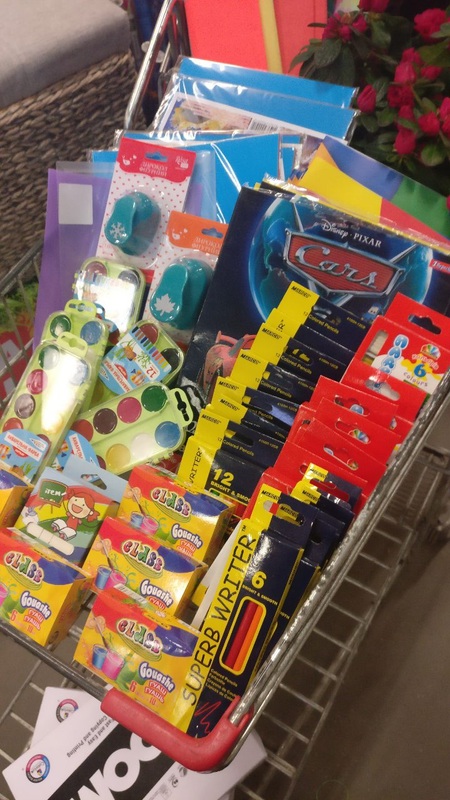 February, 2019 - Today our volunteers purchased school supplies for children from orphanage with mental disabilities that will be delivered to them next week. 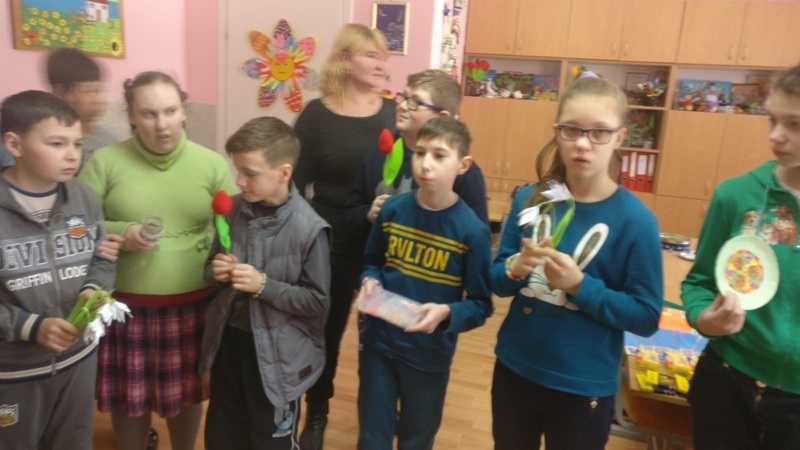 February, 2019 - Today our team visited children with mental disabilities in state run facilities. 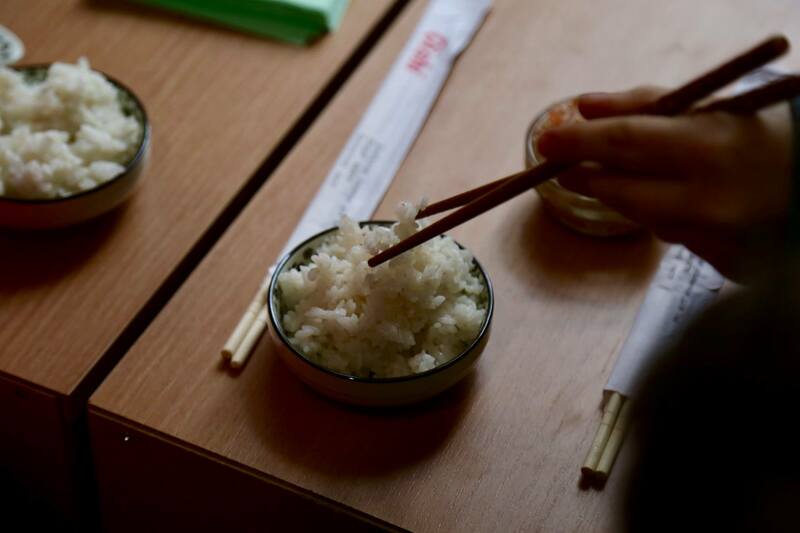 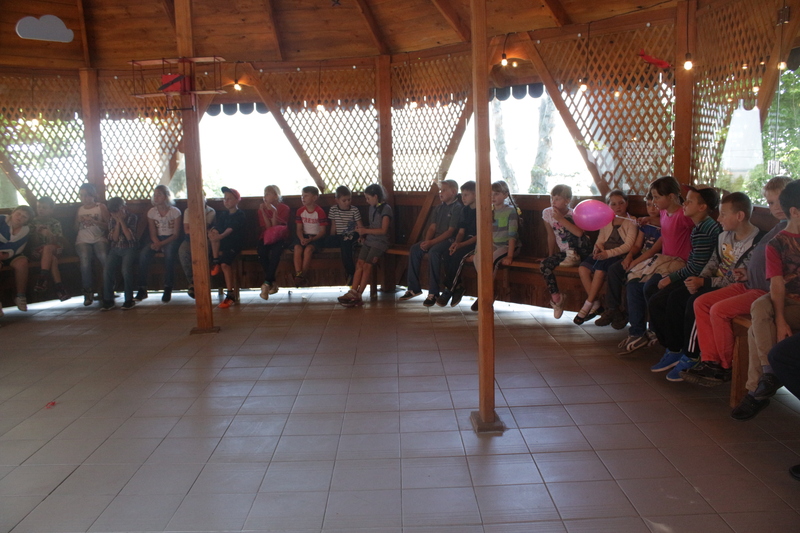 We brought each children a gift and spent some time with them during their learning time. 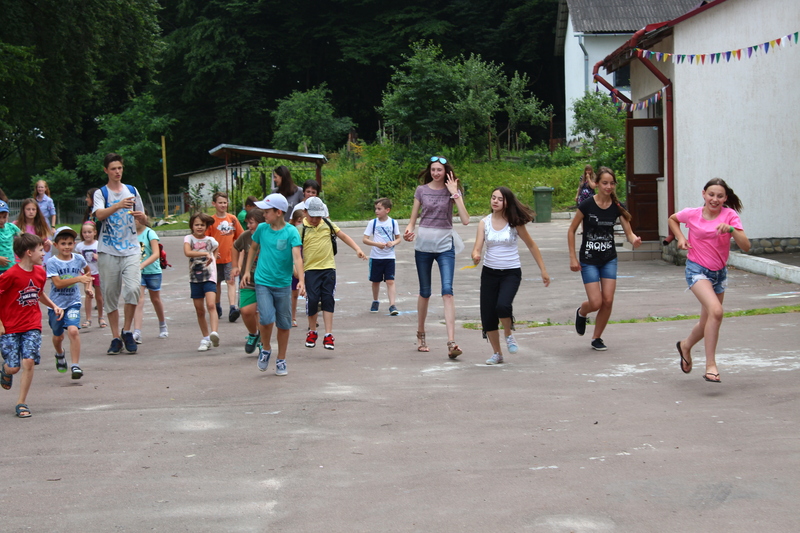 Children were so happy and asked our volunteers when they will come back to visit them. 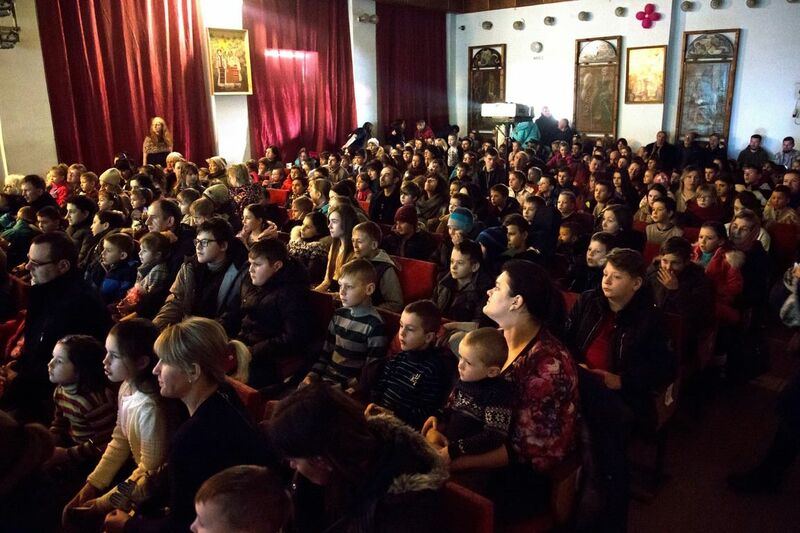 Big thanks to all who donated toward this event back in January, your gift is making a huge impact in the lives of these precious children. 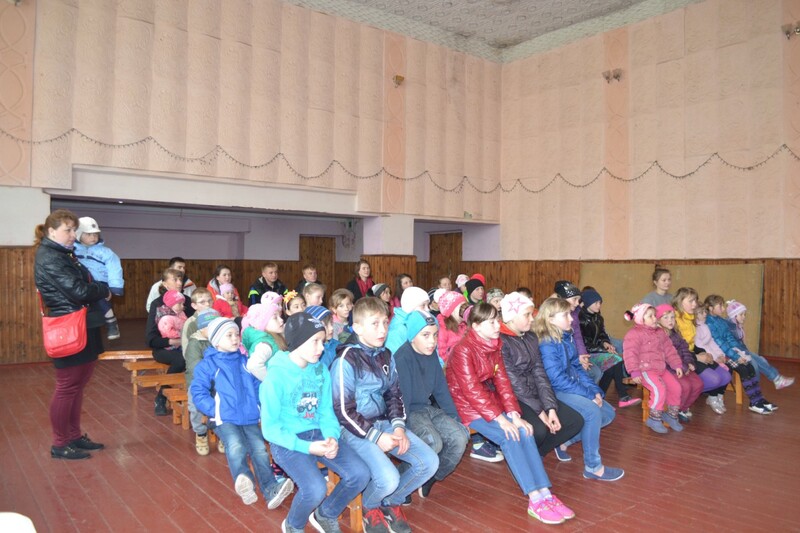 January, 2019 - First Day of Hope event 2019 took place last week for children from underprivileged families. 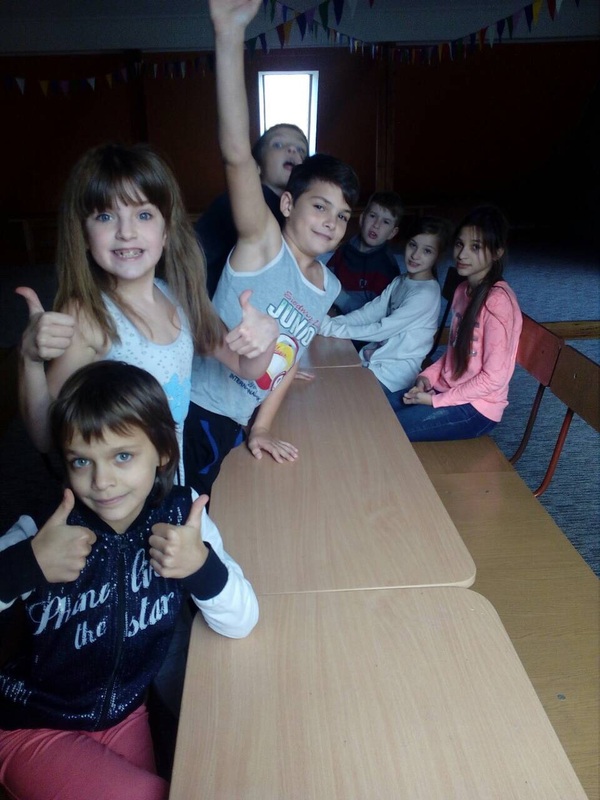 Children had a great time learning and having some fun. 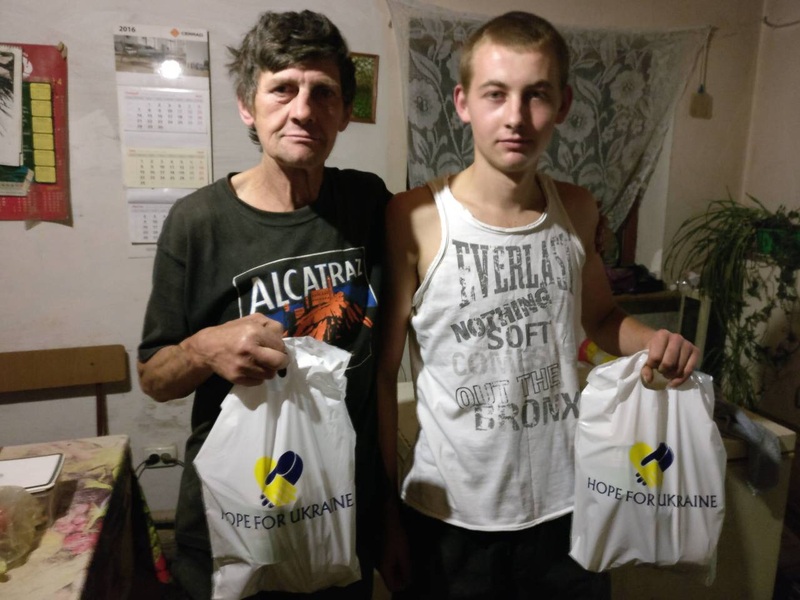 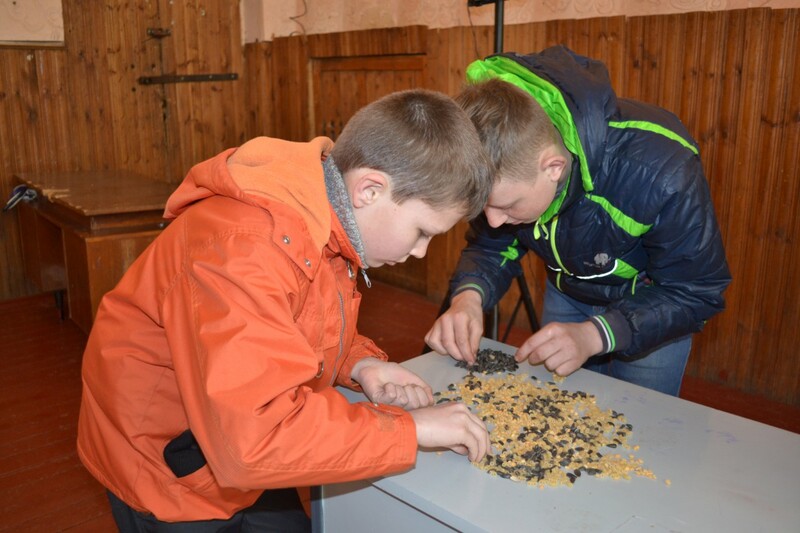 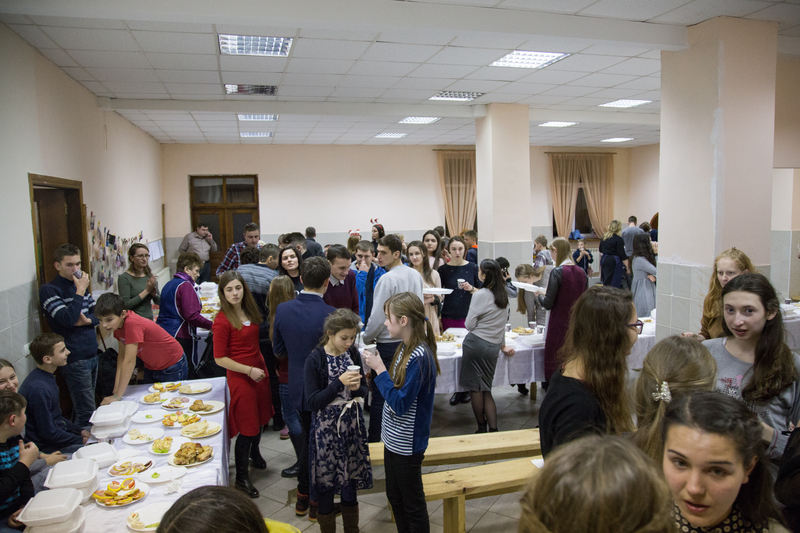 November, 2018 - We had another Day of Hope event in Ukraine this week. 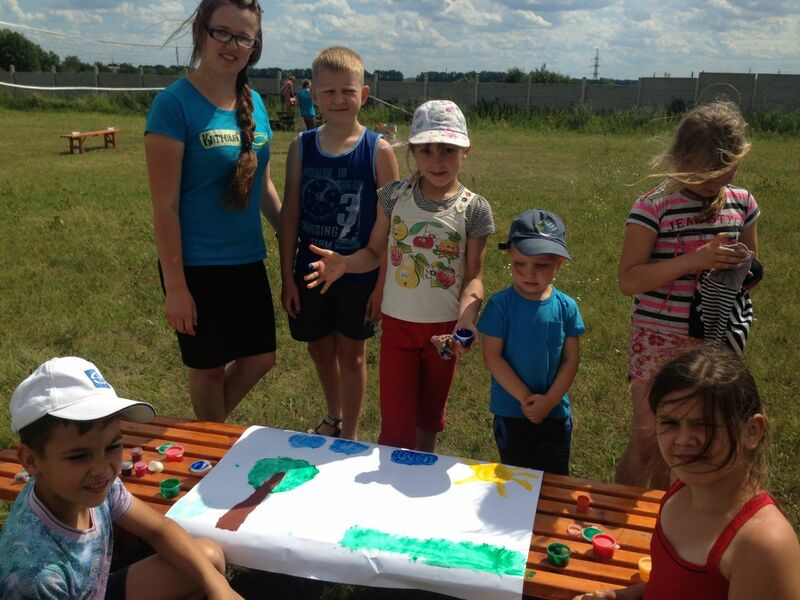 Our volunteers organized painting master class for children from underprivileged families. 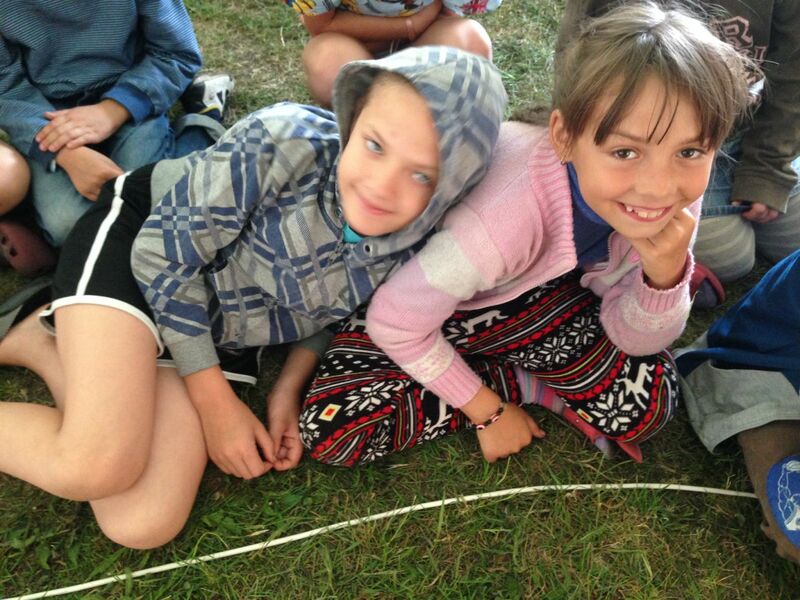 To see them smile from ear to ear is priceless. 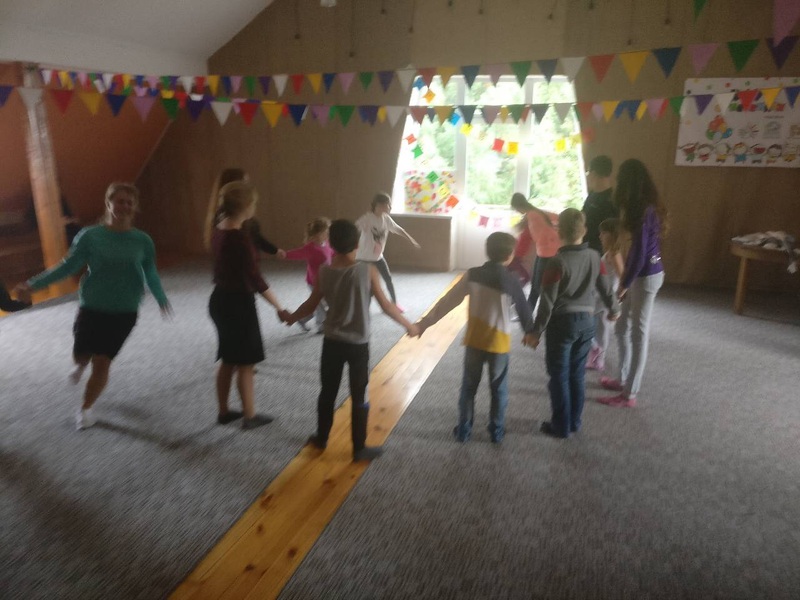 November, 2018 - Today we had another Day of Hope event for underprivileged children. 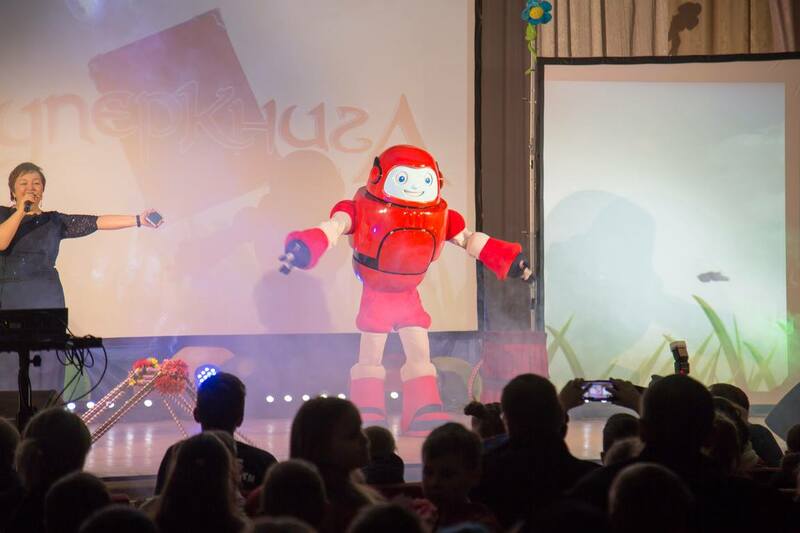 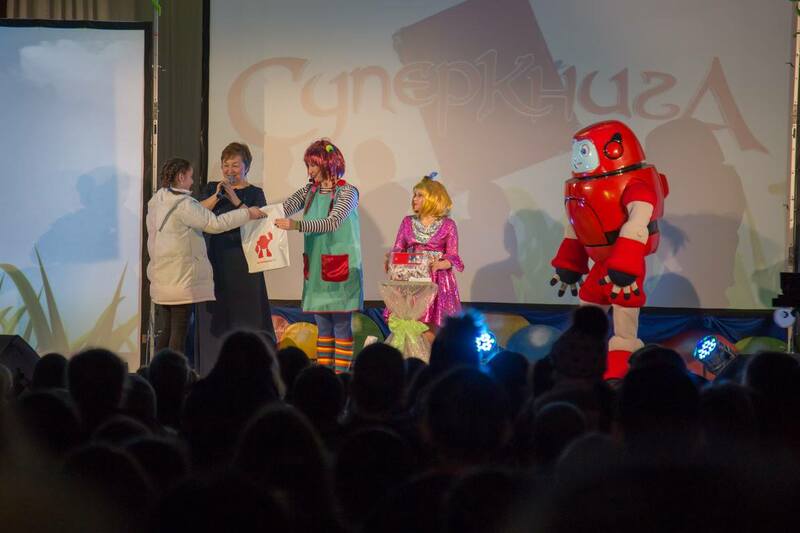 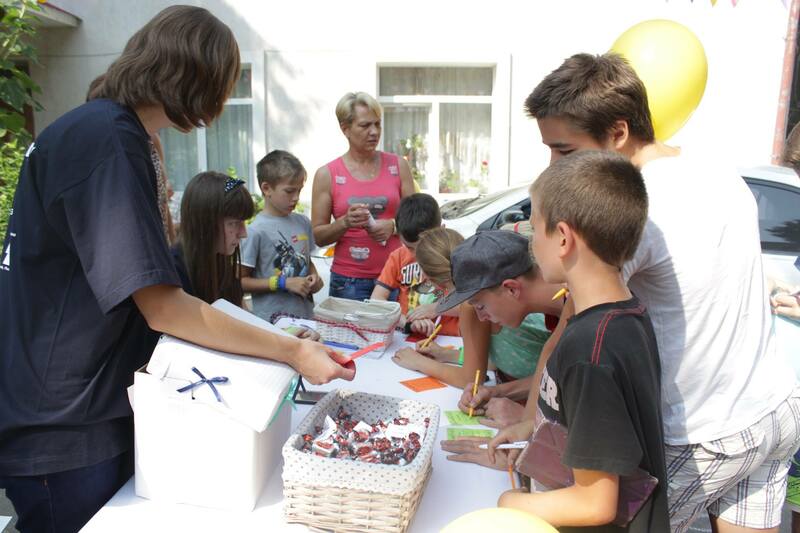 Thanks to all out volunteers in Ukraine and all our donors around the world for making it possible to do these events and put smile on children's faces. 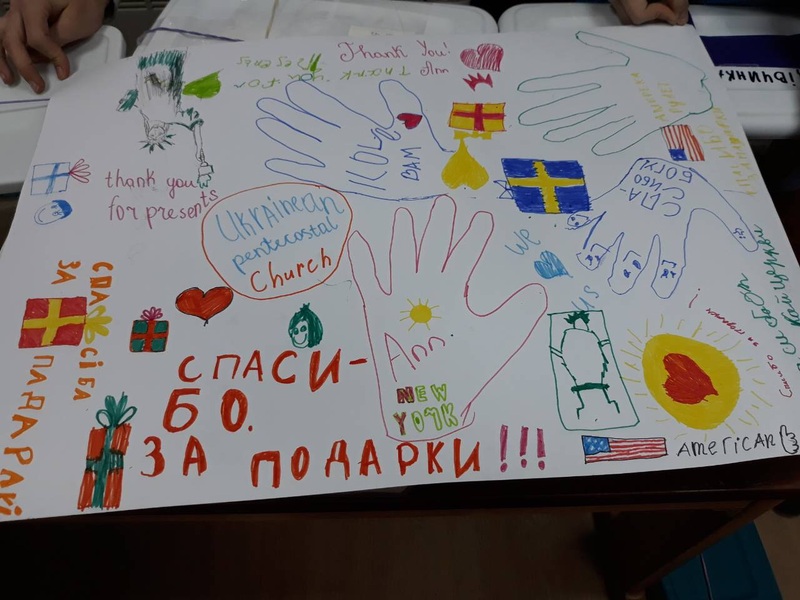 THANK YOU FROM ALL CHILDREN IN UKRAINE. 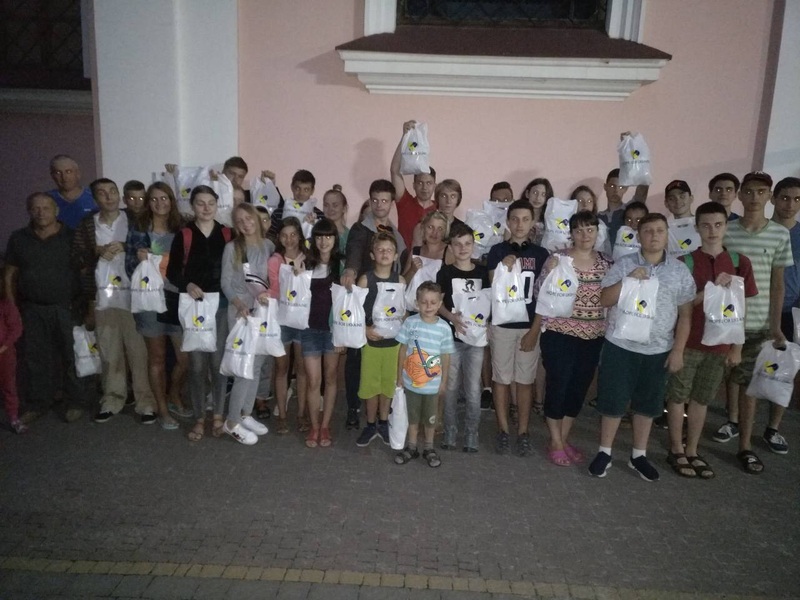 August, 2018 - Our team distributed aid packages to many children from underprivileged families. 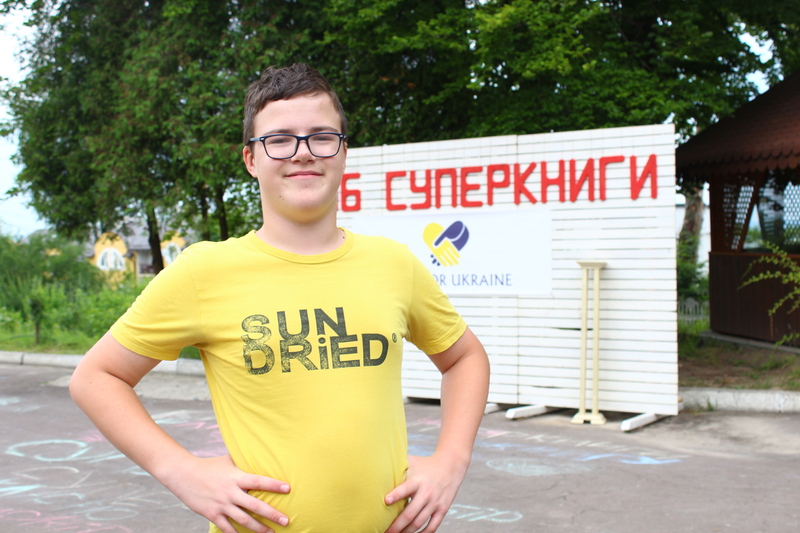 June, 2018 - A little video overview about children's camp that just finished in Ukraine. 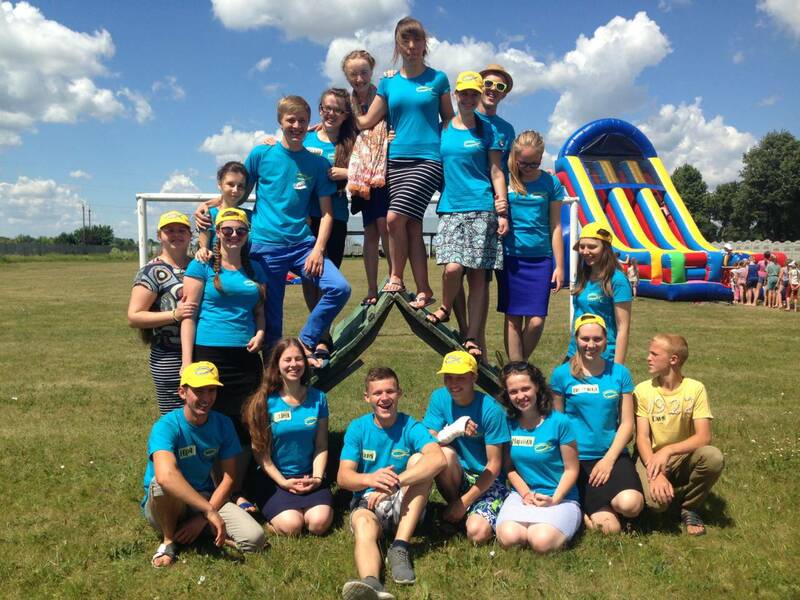 June, 2018 - Together with our partners and volunteers in Ukraine we were able to organize and sponsor first Hope Camp of this summer for children in Ukraine. 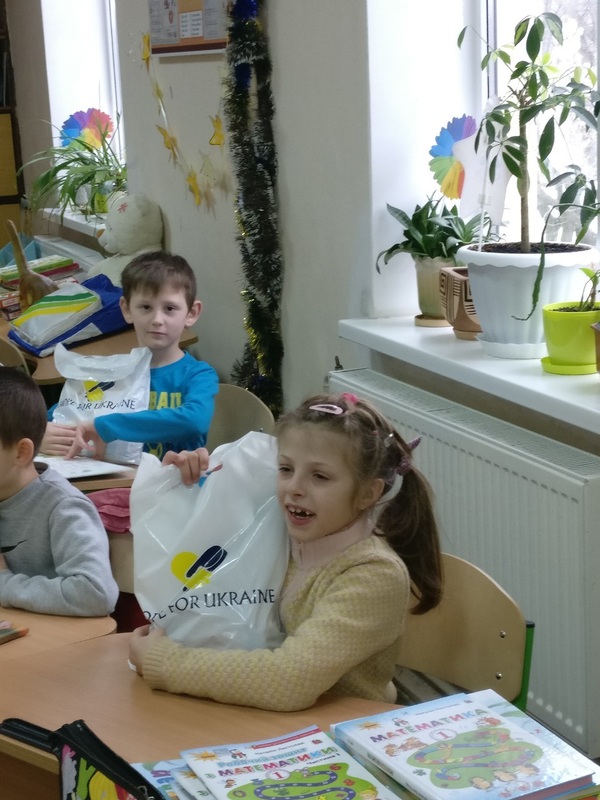 Thank you to all our donors for helping us bring hope to so many children in Ukraine. 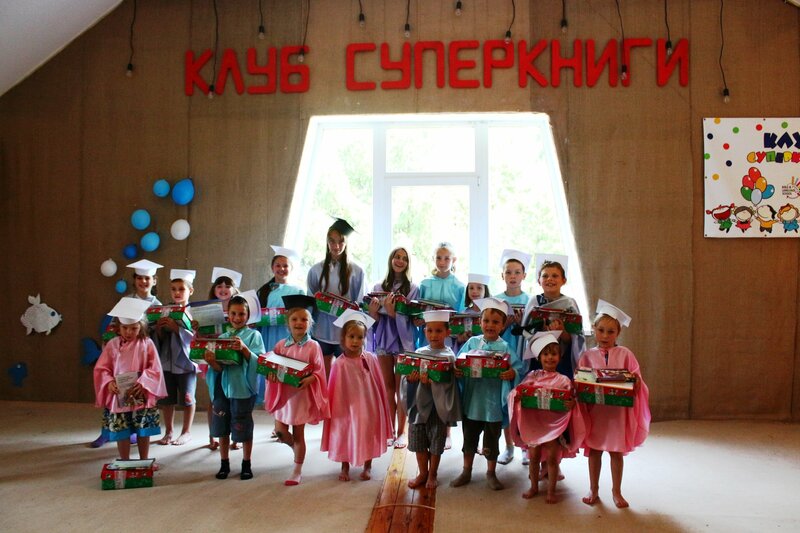 June 2018 - This week-end together with our partners in Ukraine we organized special graduation themed Day of Hope for children. 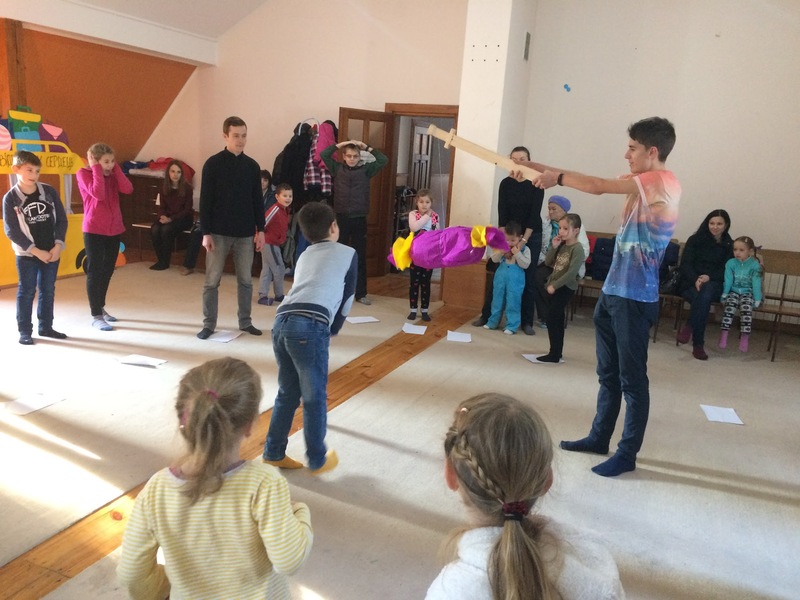 March 2018 - last weekend together with our partners we organized another Day of Hope for children. 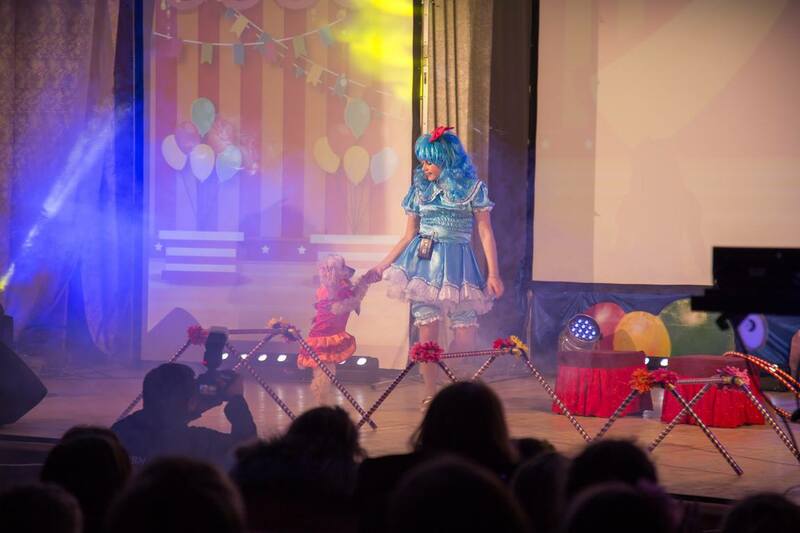 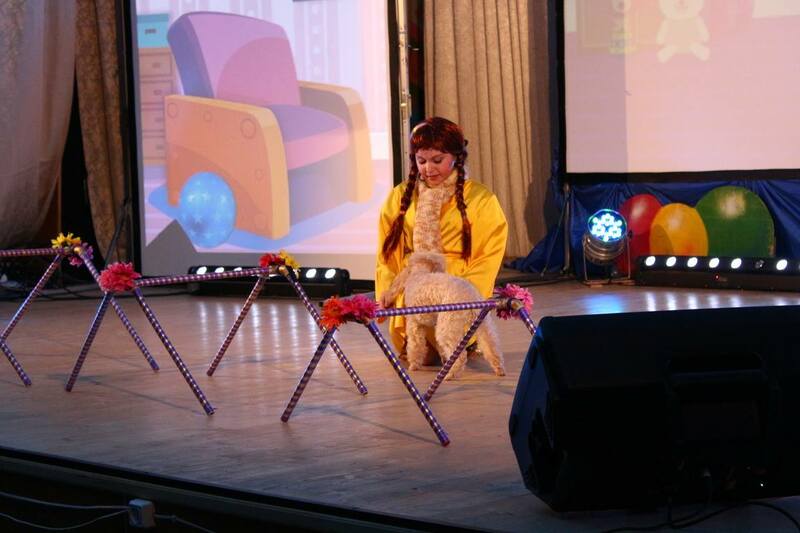 Over 300 children attended special event that featured circus. 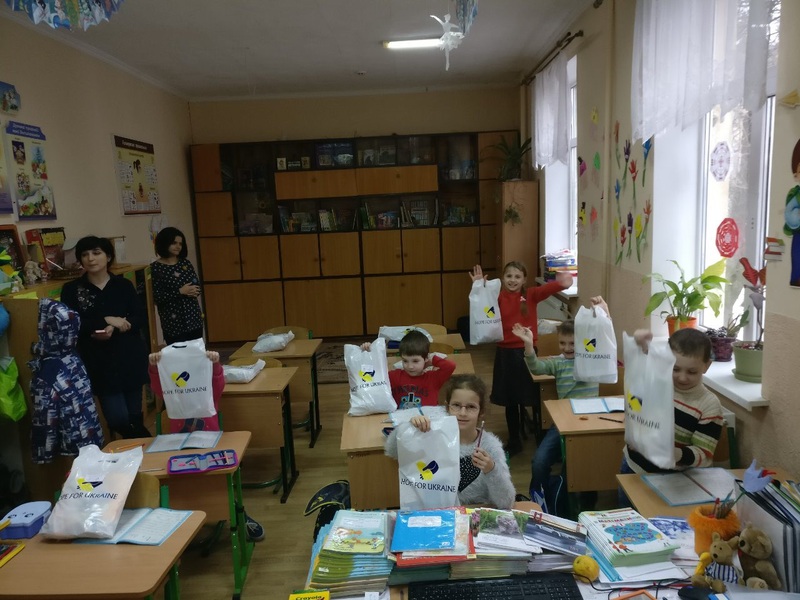 March, 2018 - Our volunteers delivered gifts to children in a war zone near city of Mariupol, Donetsk region. 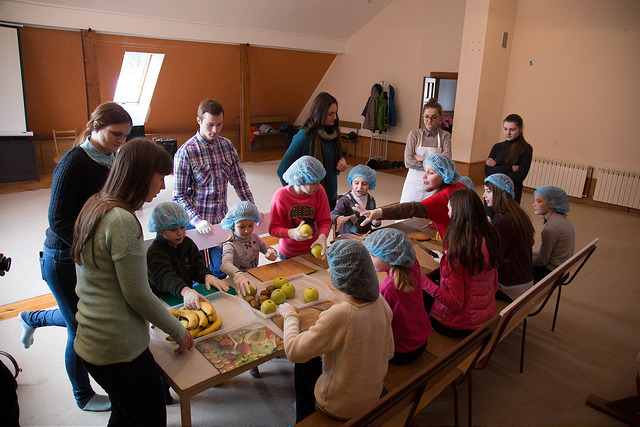 February, 2018 - last Saturday of February we had another Day of Hope for children in Ukraine. 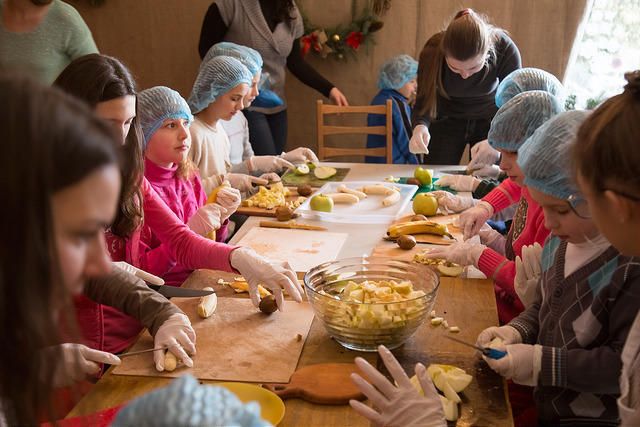 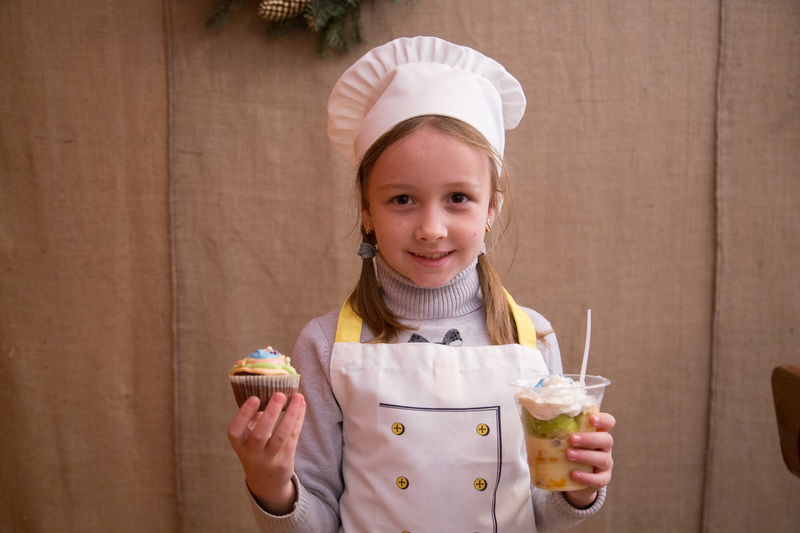 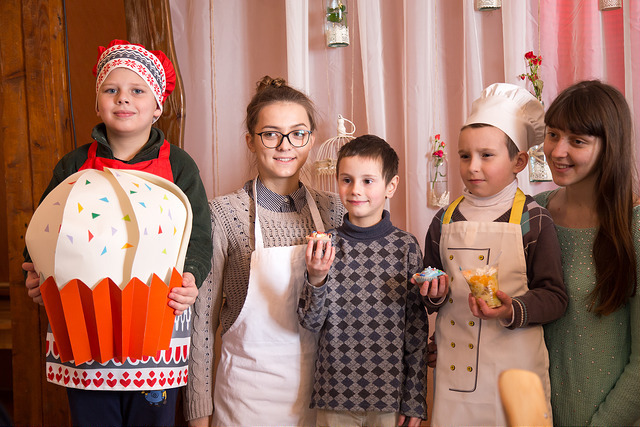 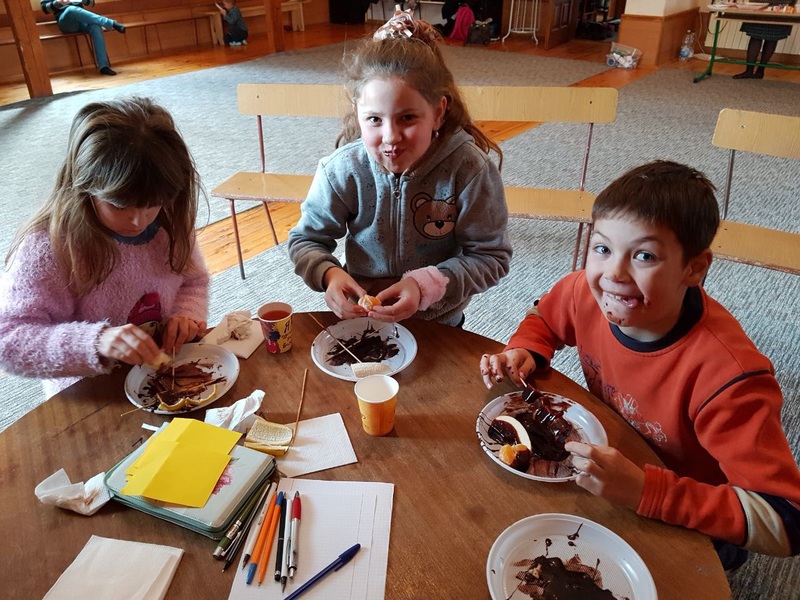 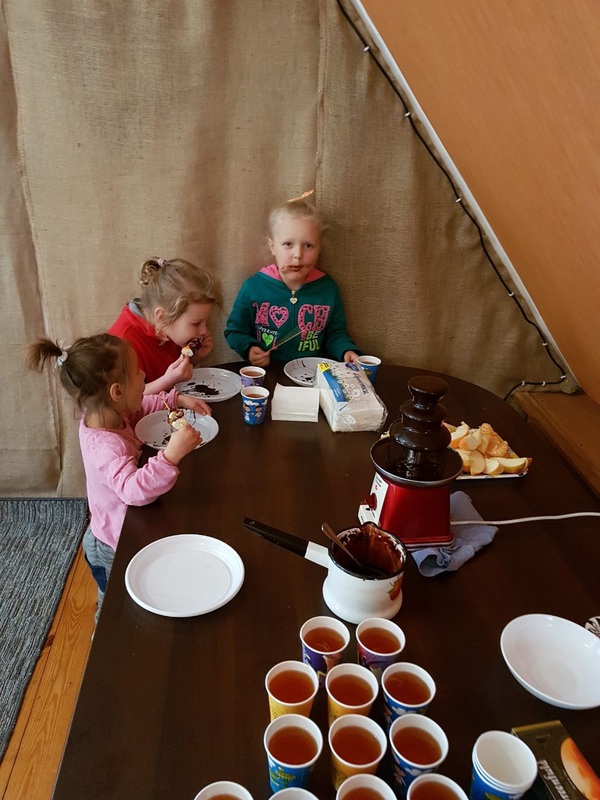 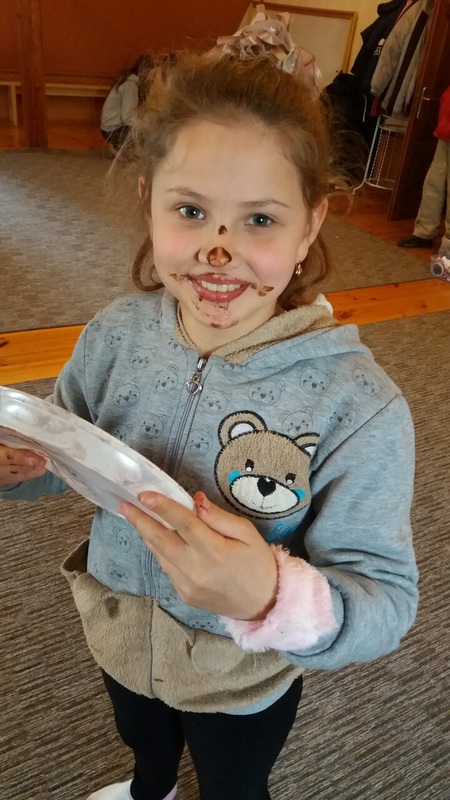 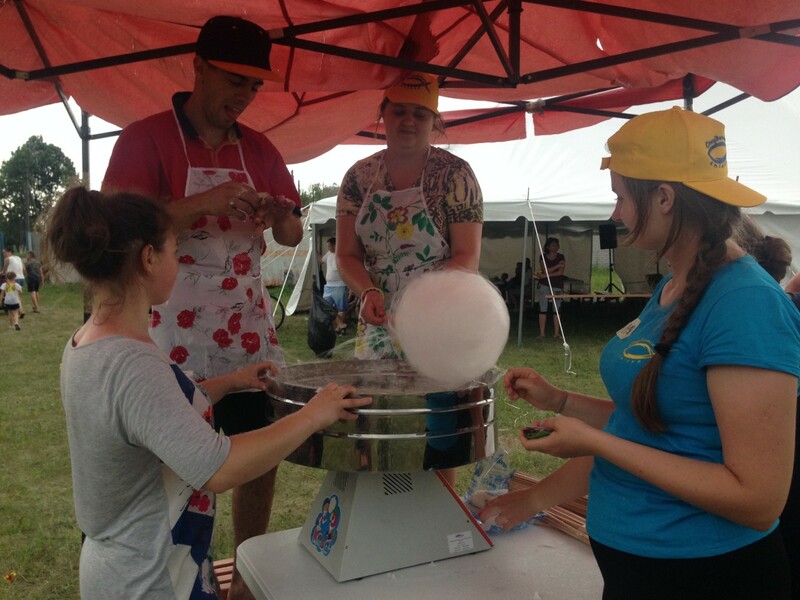 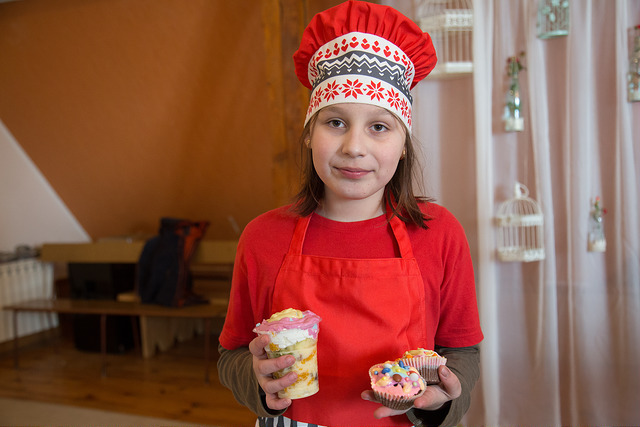 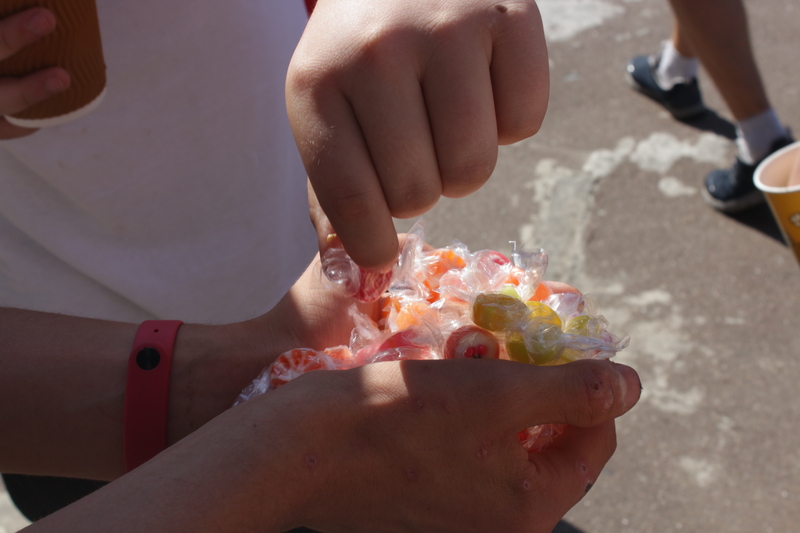 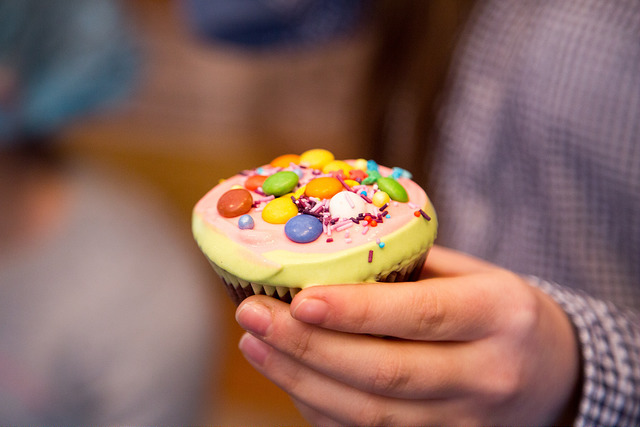 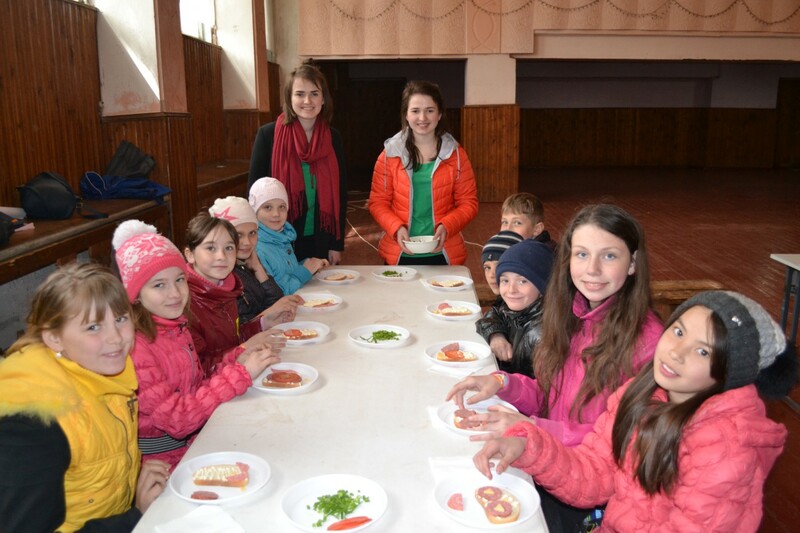 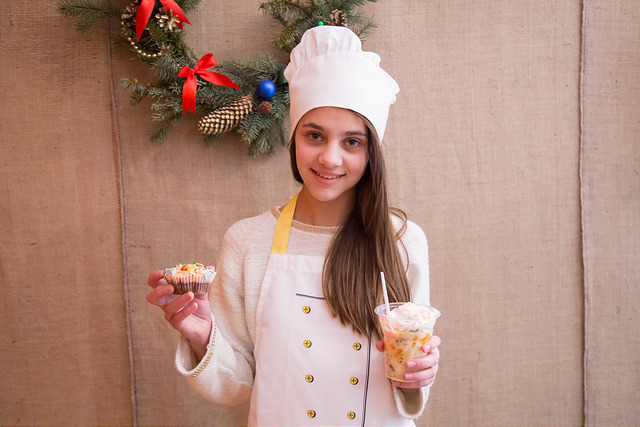 Our volunteers in Ukraine organized sweet celebration for kids were kids got to make their own deserts. 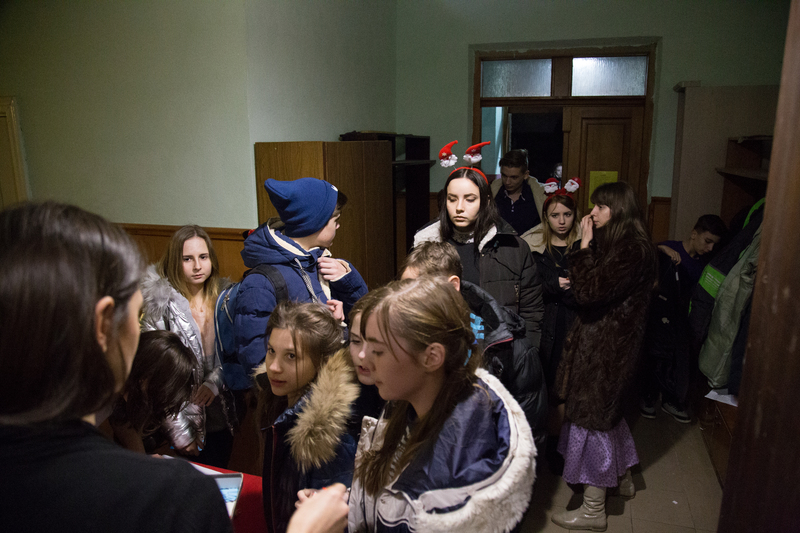 February, 2018 - we organized another day of hope for underprivileged children. 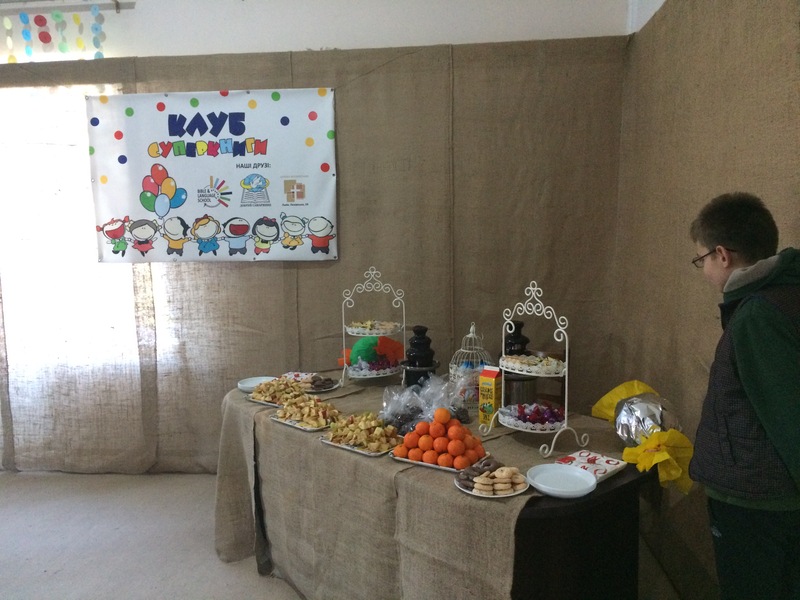 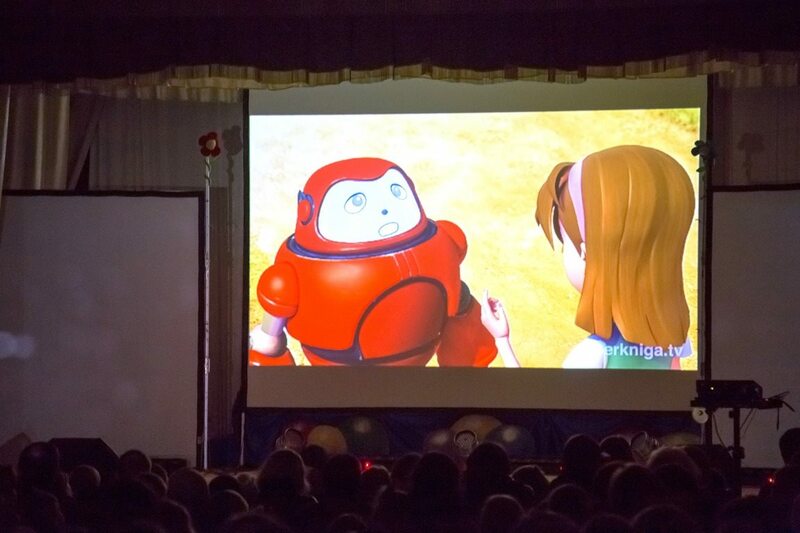 Over 30 children attended this event. 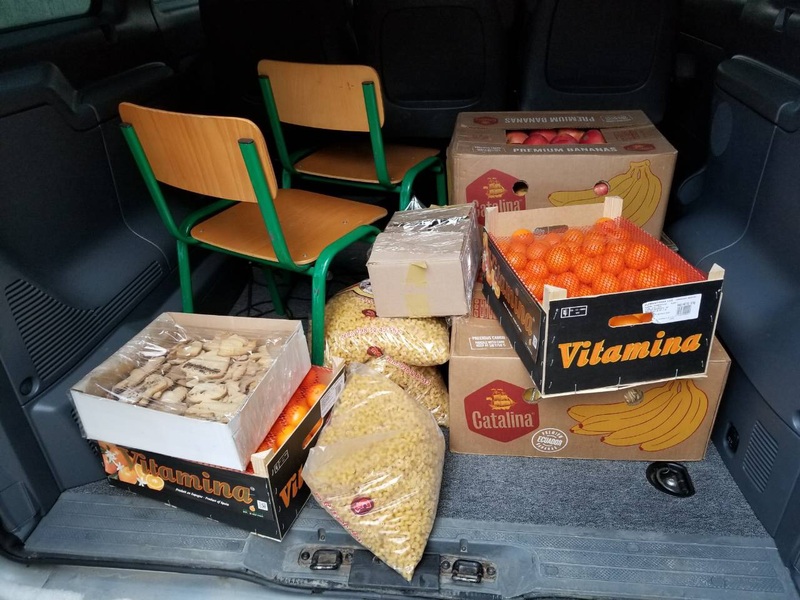 January, 2018 - We have started distributing shipment of food that just arrived to Ukraine. 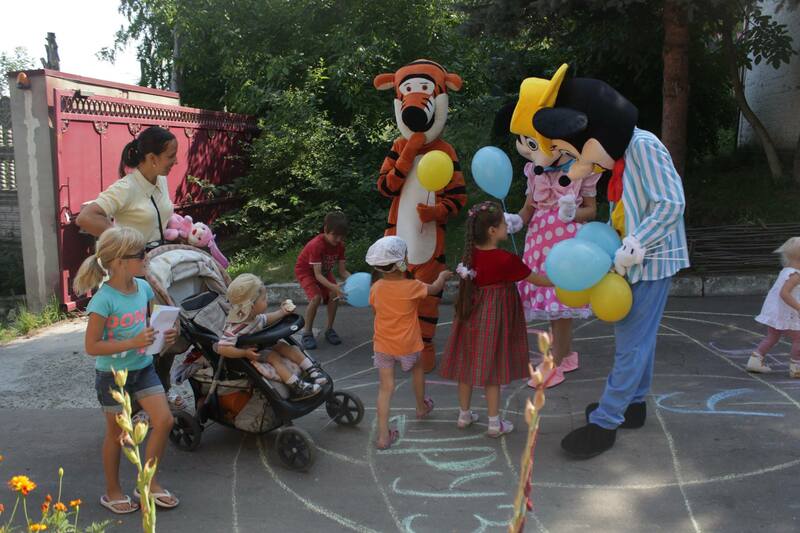 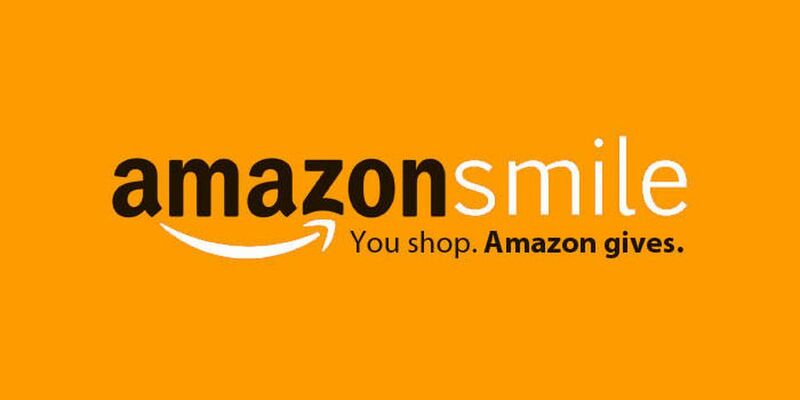 Thank you for helping us put smile on children faces. 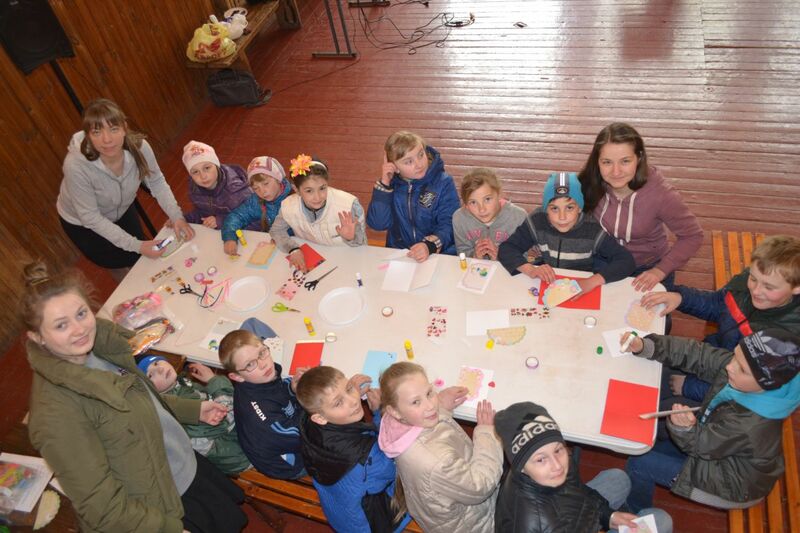 Today was last day of winter camp for children from war zone. 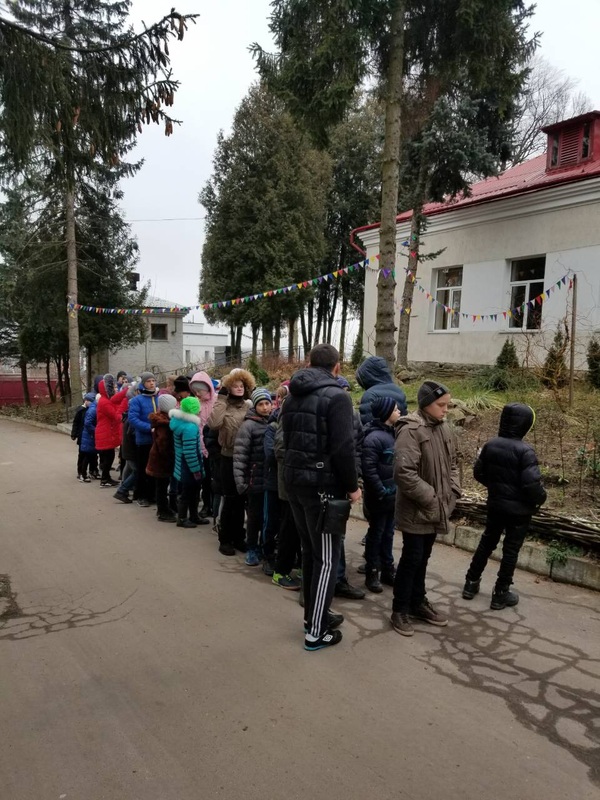 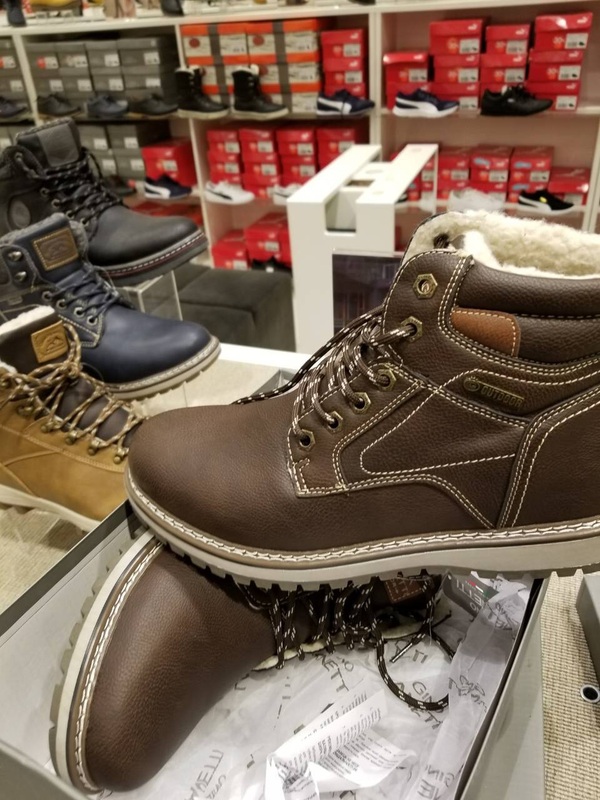 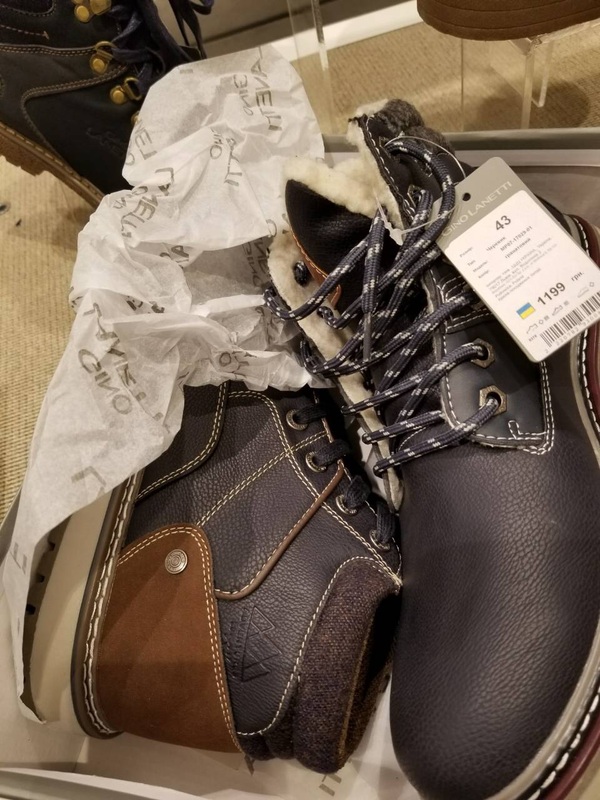 Before we sent them out back home we noticed that many of them don't even have winter shoes, so we took them shoe shopping. 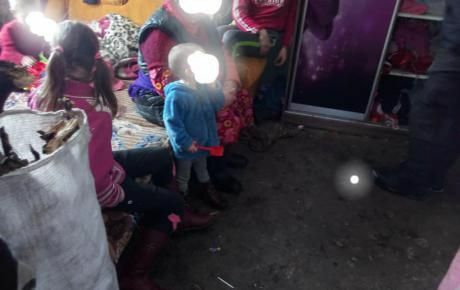 These children spend a lot of time hiding in basements of their buildings or houses due to frequent artillery shelling of their town and their families cannot afford to buy them winter clothing or shoes. 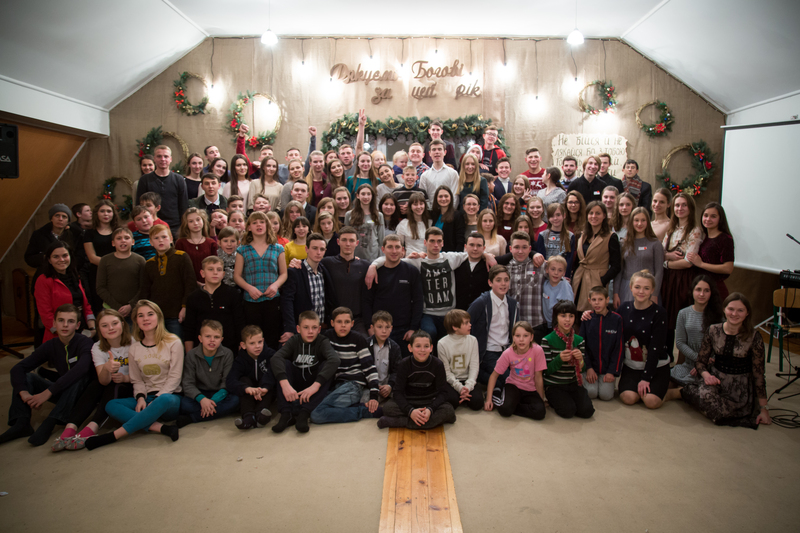 January 11, 2017 - Today we spent some time with children from war-zone before their departure back home to East of Ukraine. 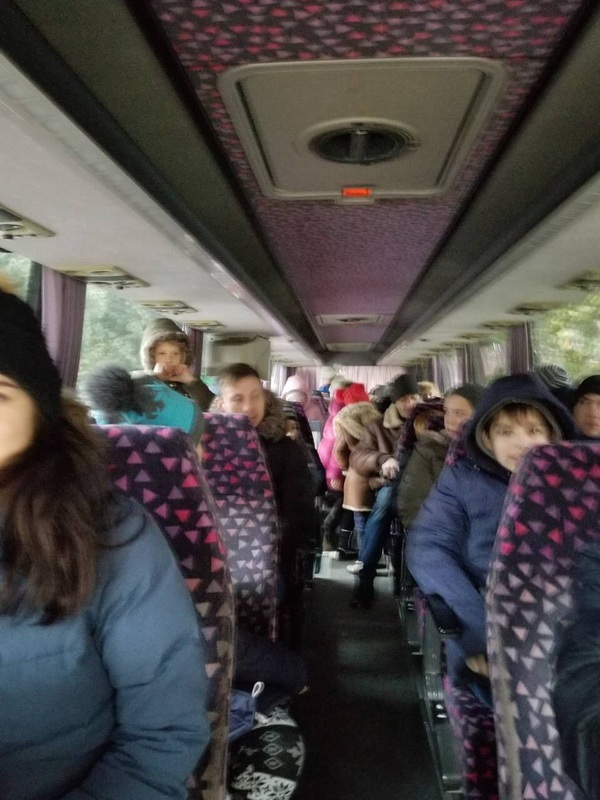 Over 60 children has arrived from war zone to spend their winter break away from constant scenes of war and artillery shelling by Russian army. 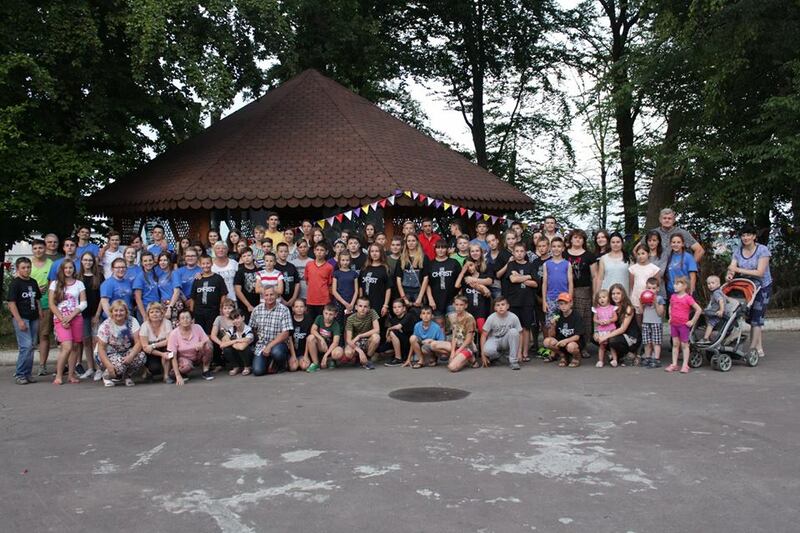 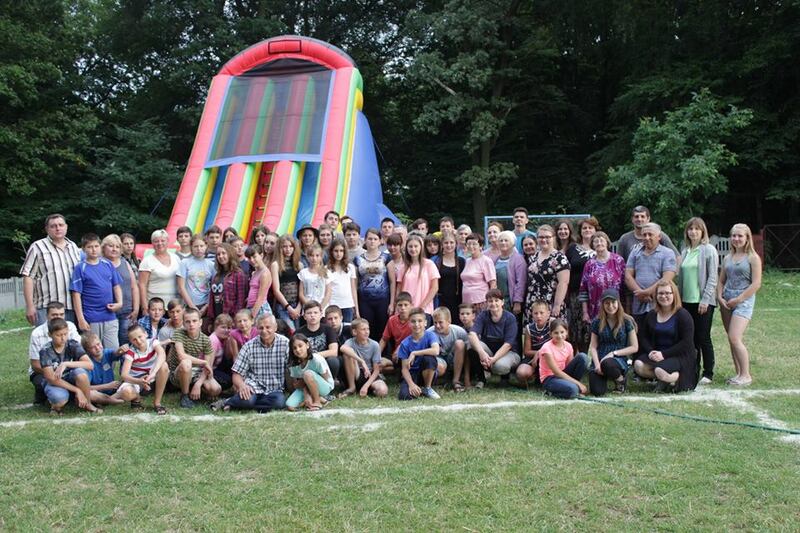 Over 50 kids from Krasnohorivka will be hosted by our volunteers at the campgrounds in Lviv, Ukraine. 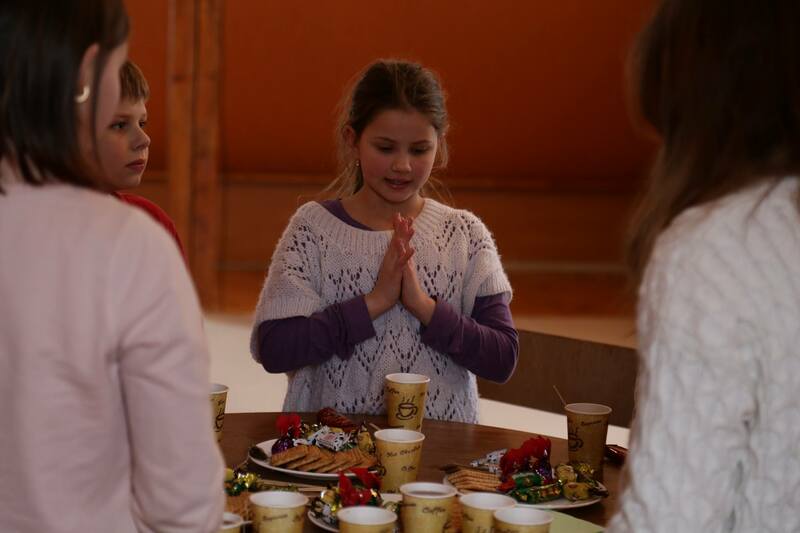 You can take a part in this great project and DONATE TODAY your best gift. 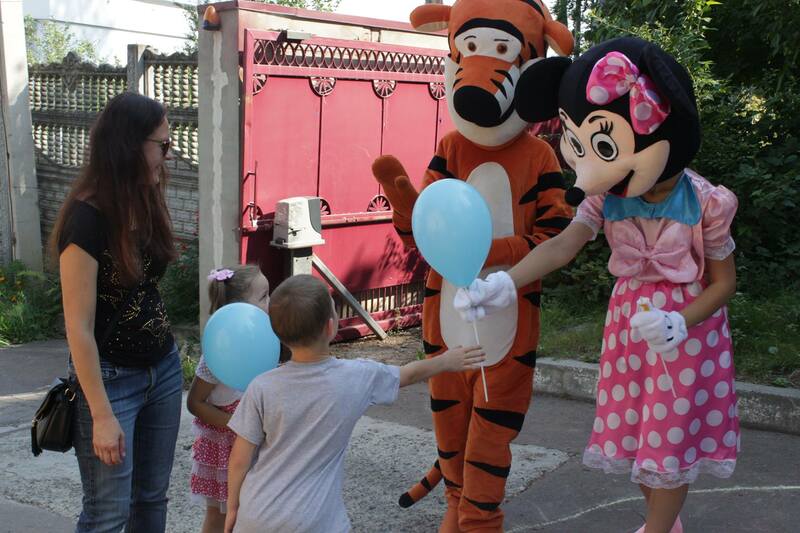 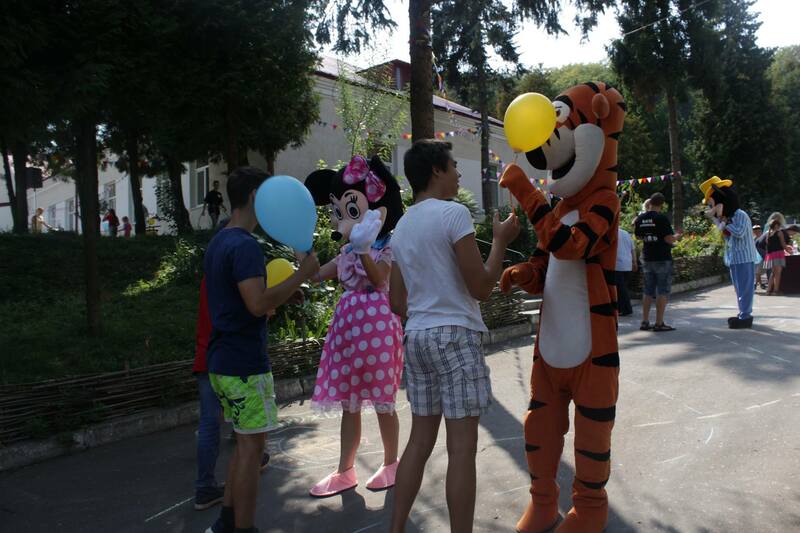 On Saturday November 25th we organized Day of Hope for children from underprivileged families. 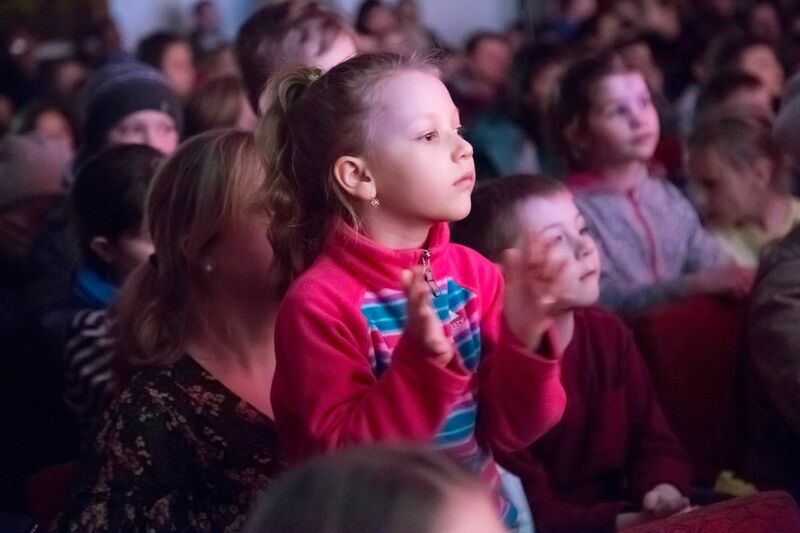 Over 30 children attend this event. 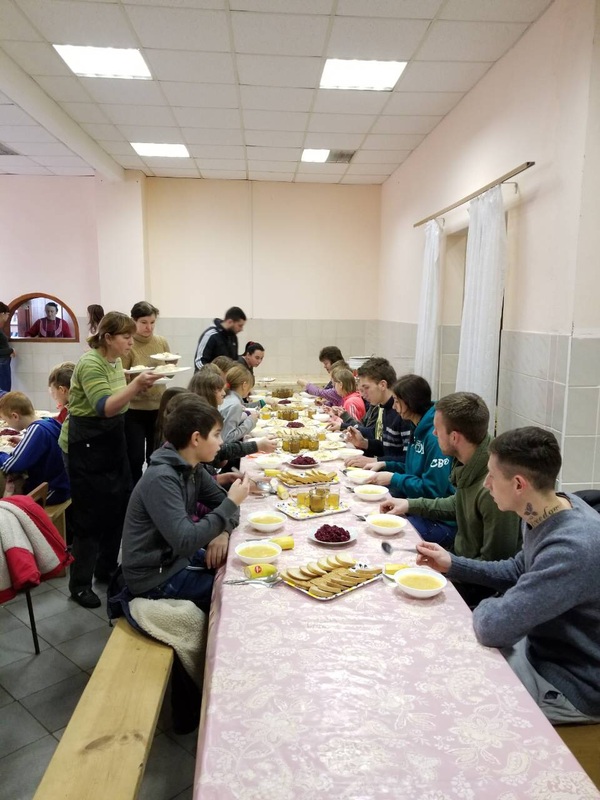 On November 19th our volunteers in Ukraine visited orphans in state ran orphanage, spent quality time with them and brought some gifts for them. 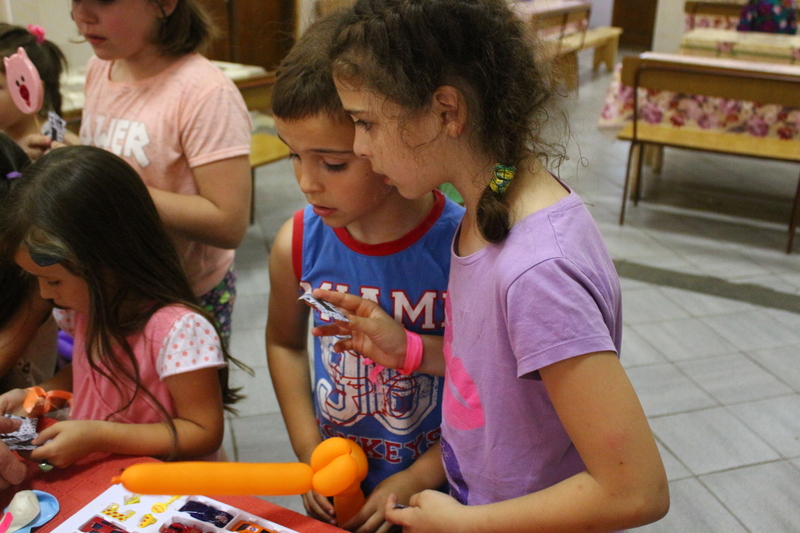 As we reflect on what we were able to accomplish this summer, we just want to take time to say thank you to all who have given toward our summer camps 2017 project. 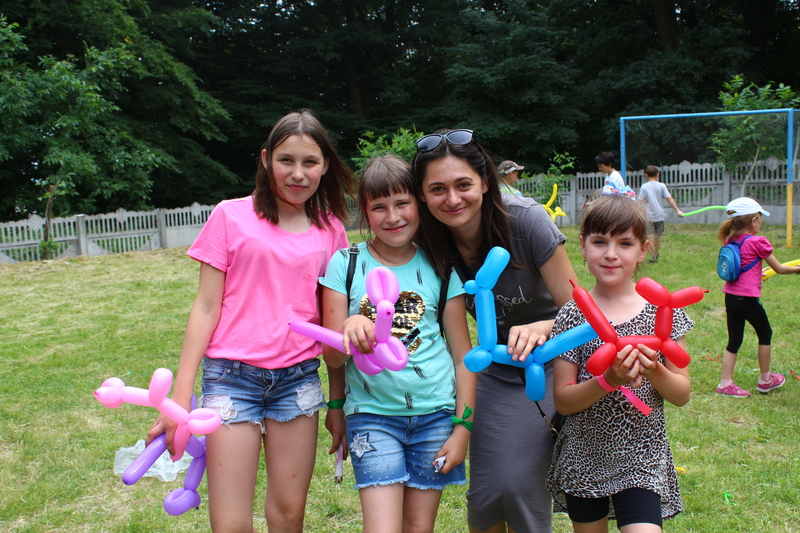 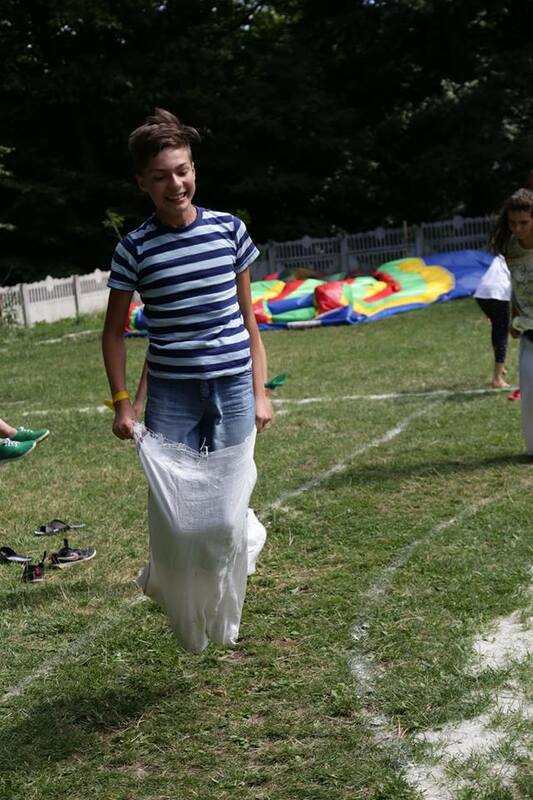 Because of your generous donations Hope For Ukraine together with our partners was able to organize summers camps all across Ukraine for over 300 underprivileged children. 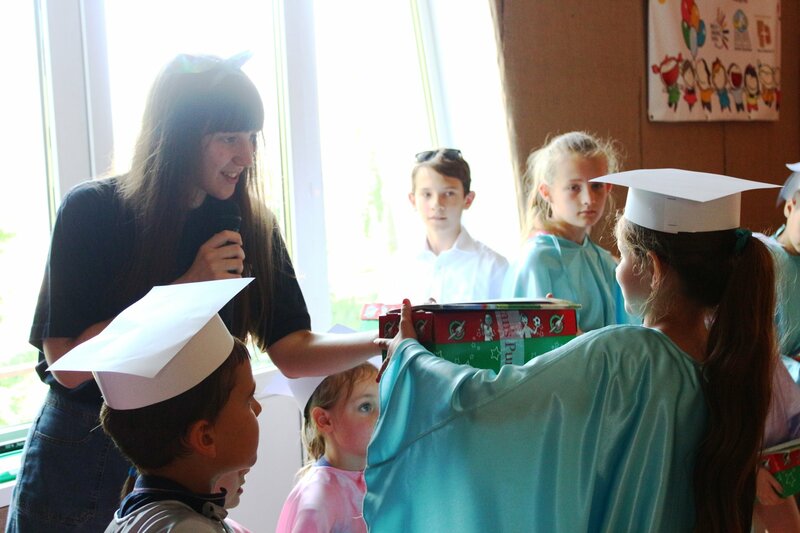 You have made impact on each and everyone of those precious children that they will never forget as long as they live. 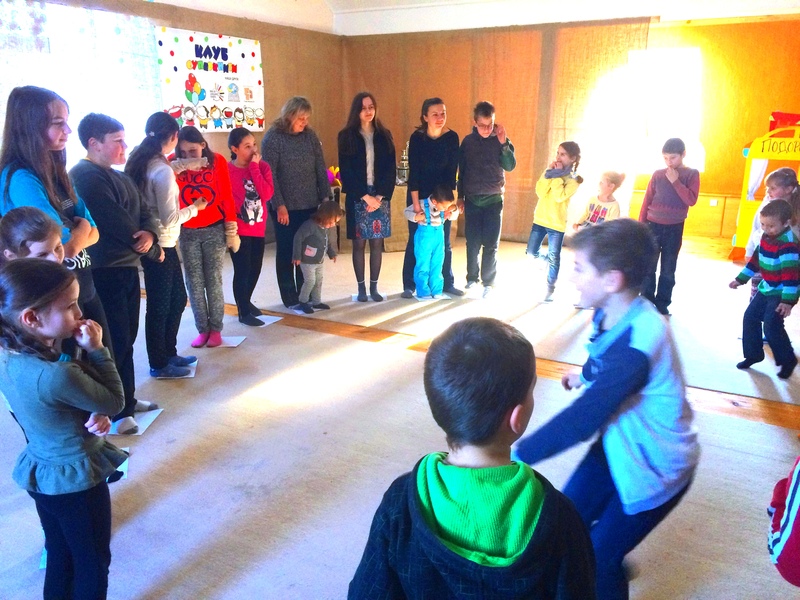 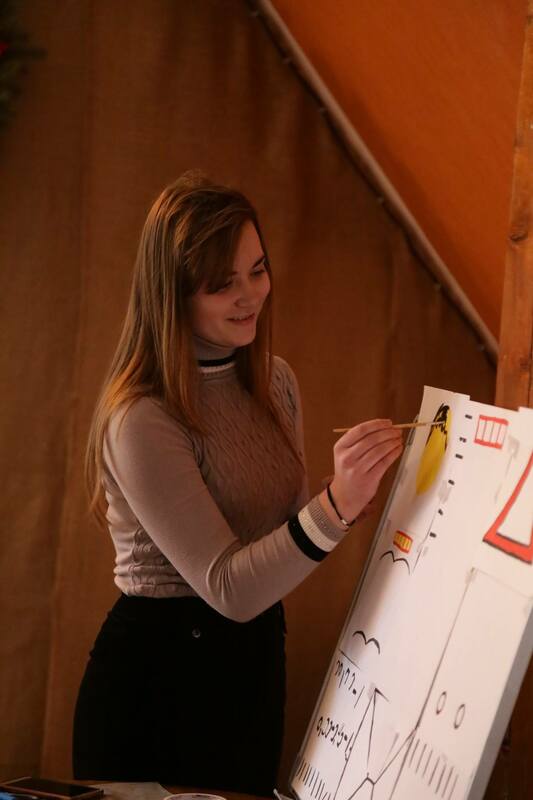 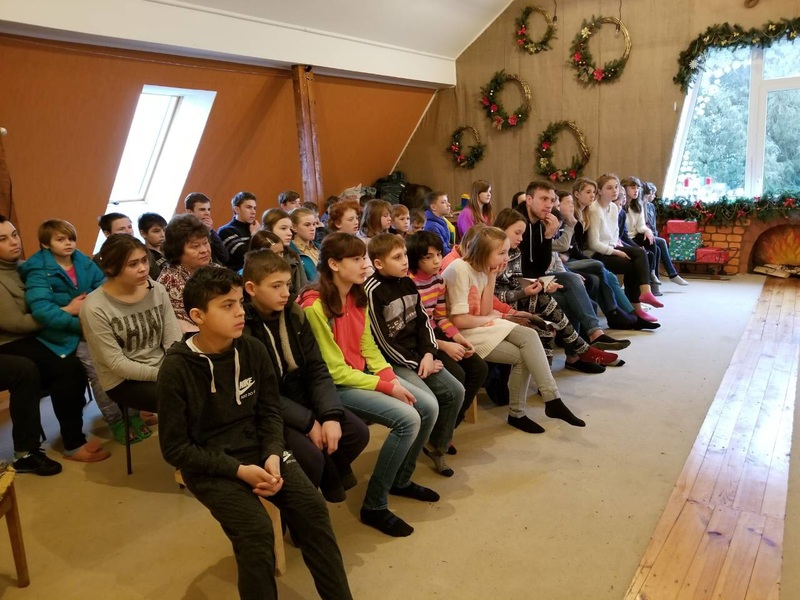 As one child who attended one of the camps wrote: "I just wanted to take this time to acknowledge the fact that you are the reason I'm having all these great experiences at camp. 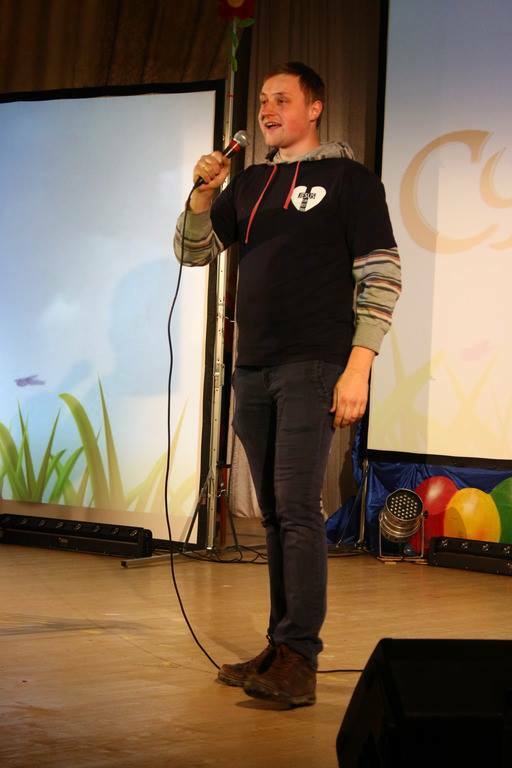 You are the reason I am loving life so much now. 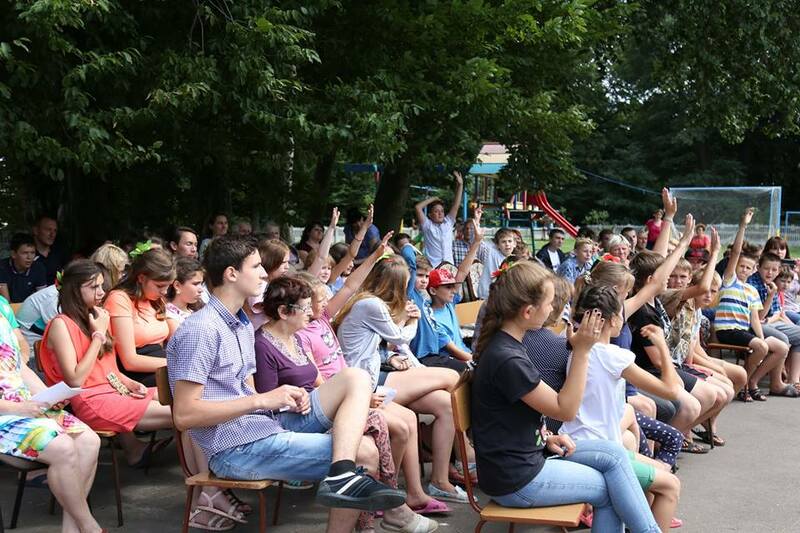 You have made possible for me to attend this camp in Lviv and ill never forget great time i had here." 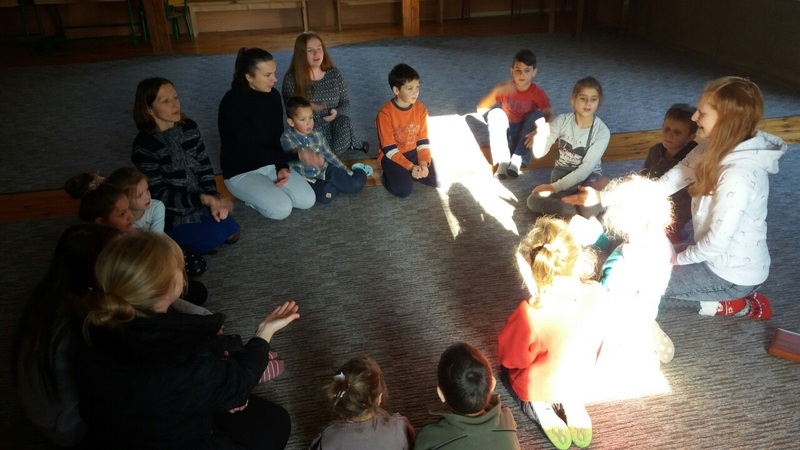 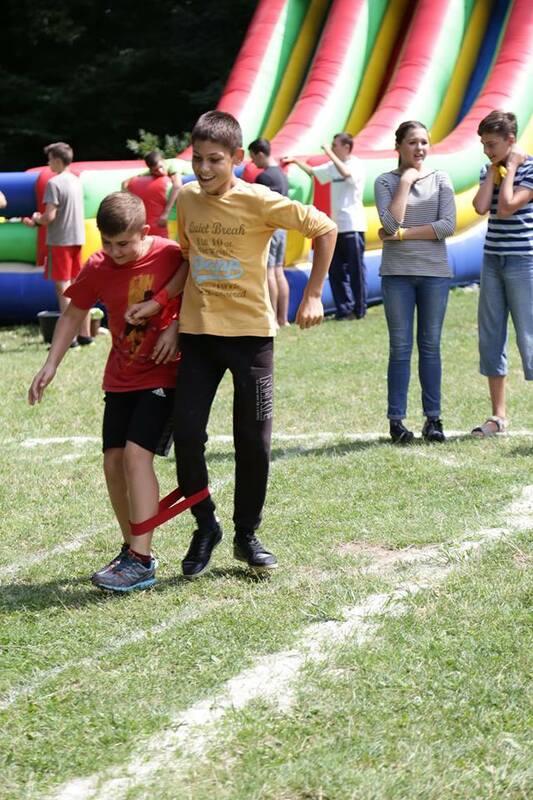 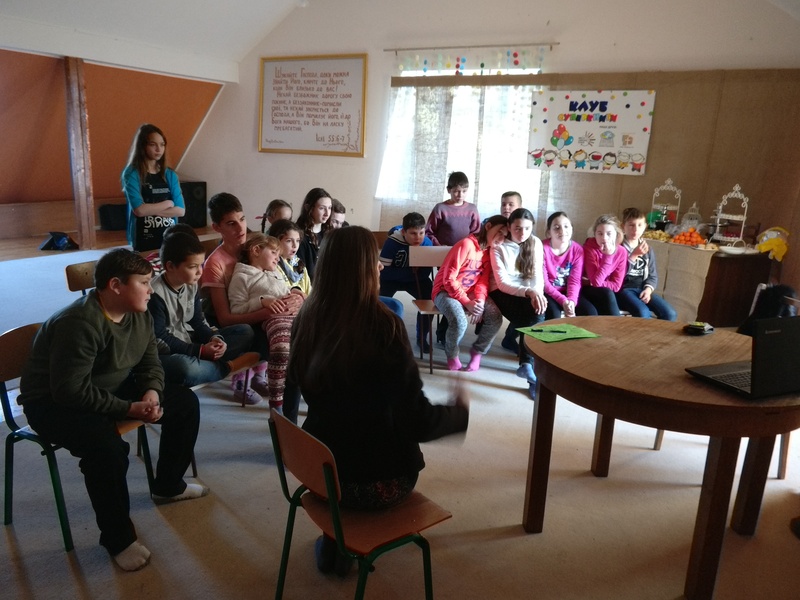 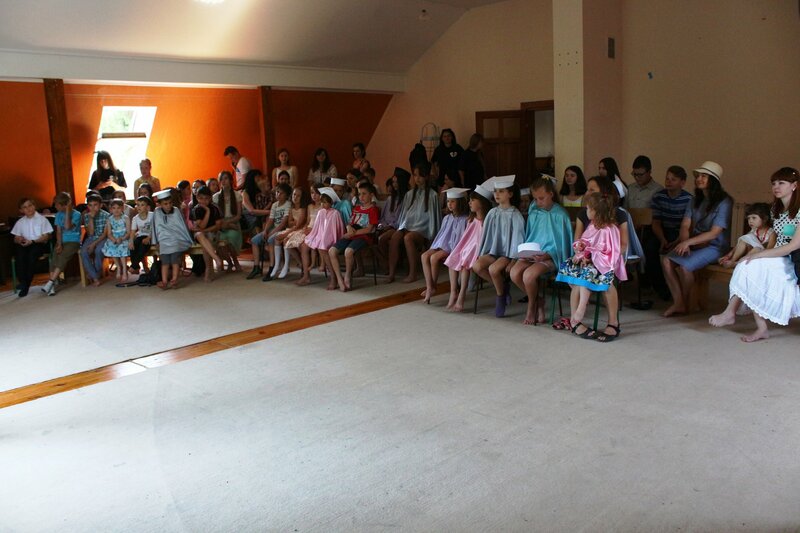 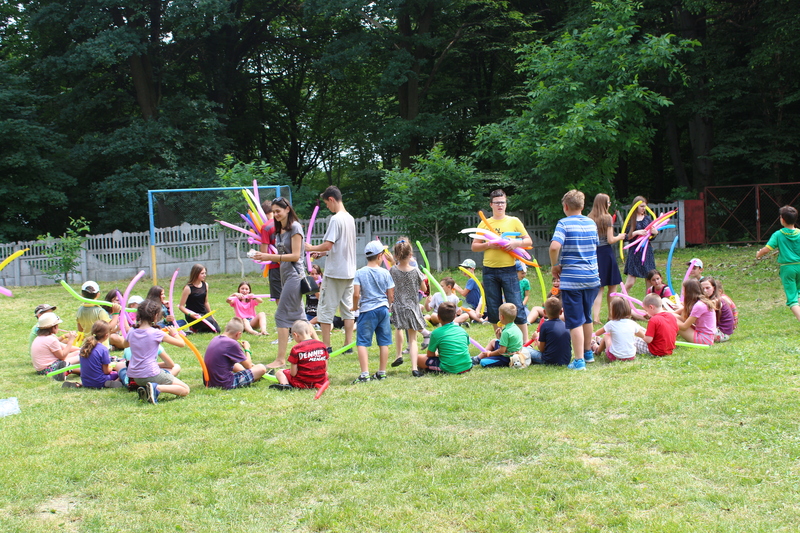 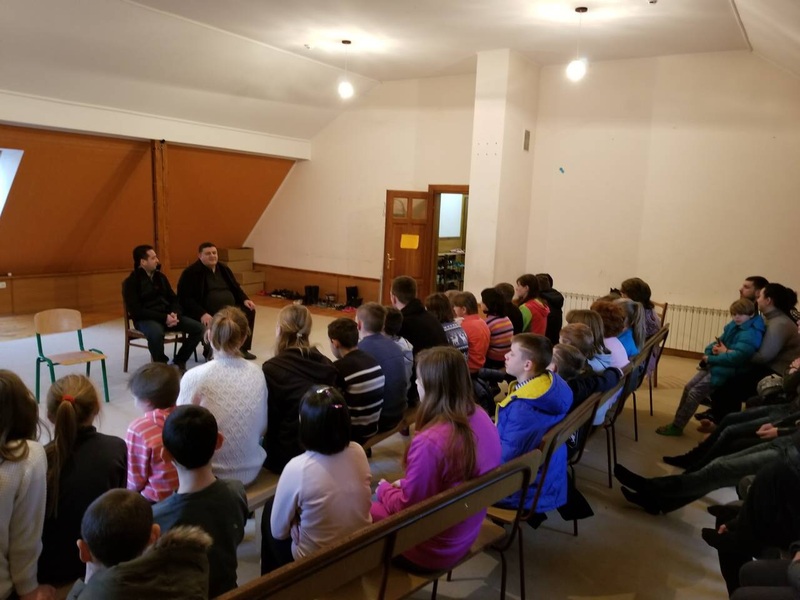 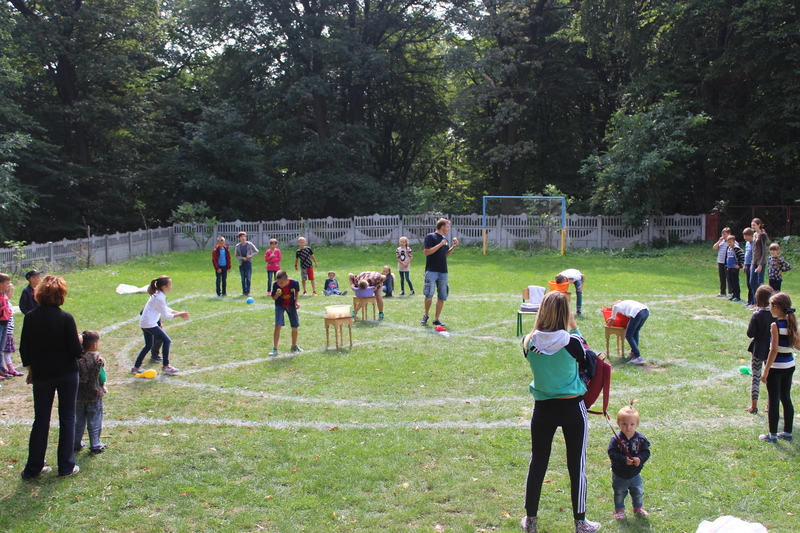 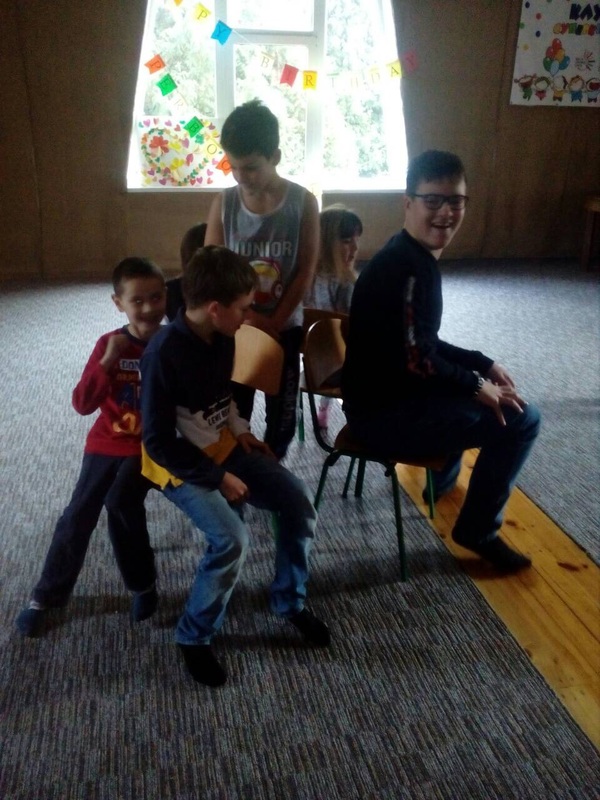 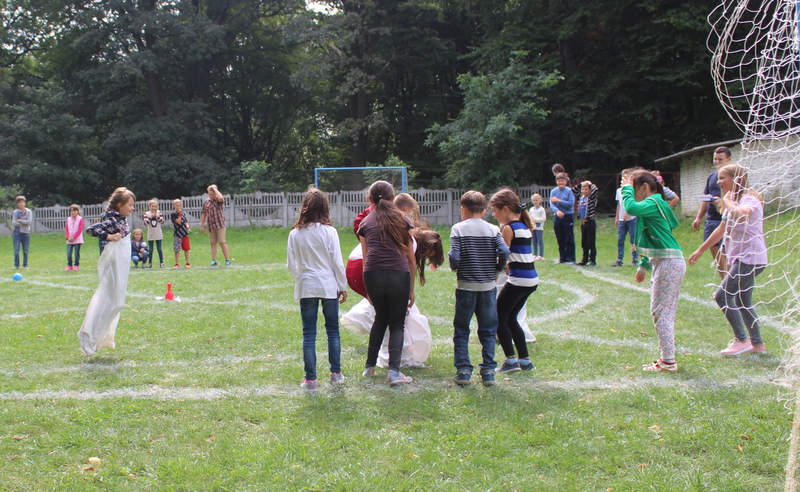 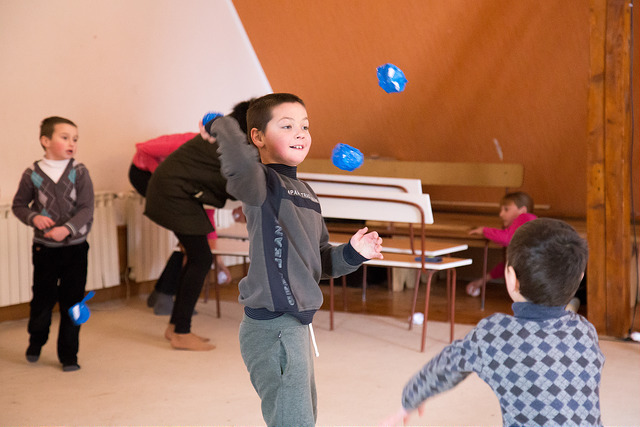 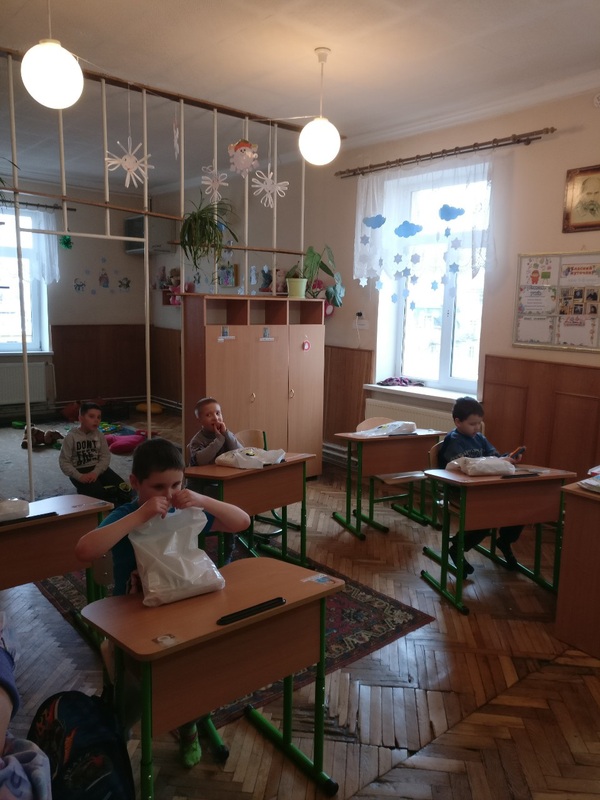 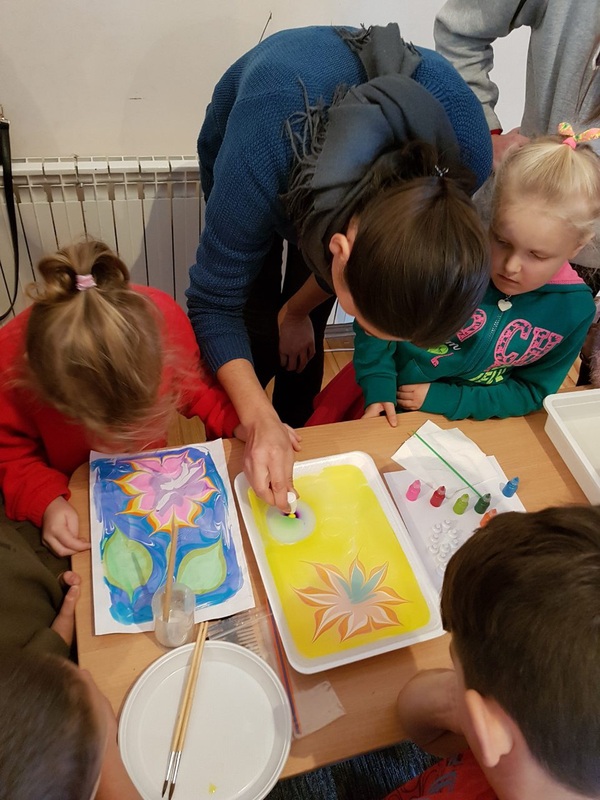 During the school year HFU will continue organize and sponsor weekend one day camps for orphans and underprivileged children in Lviv, Ukraine. 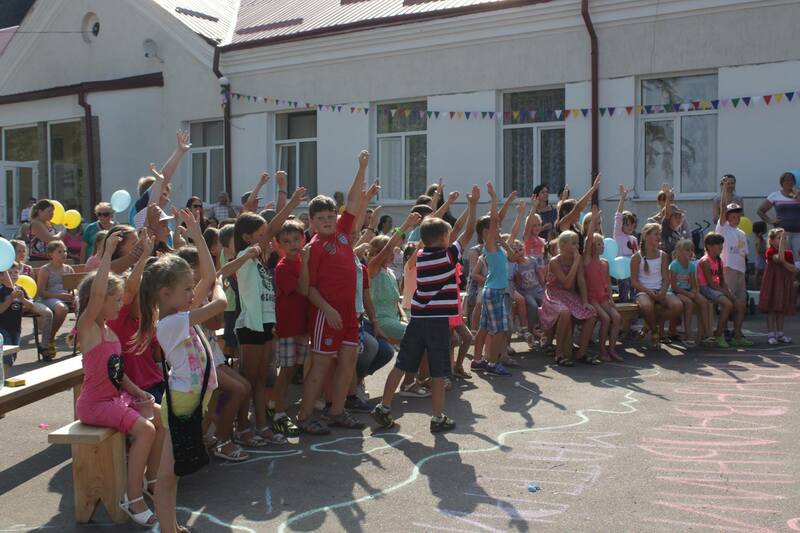 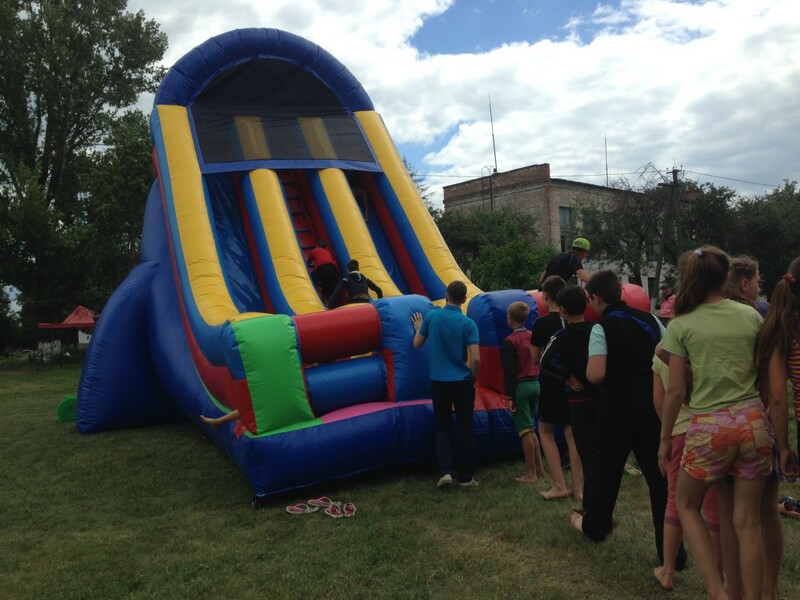 This summer Hope For Ukraine cosponsored camp for underprivileged children in Lviv, Ukraine. 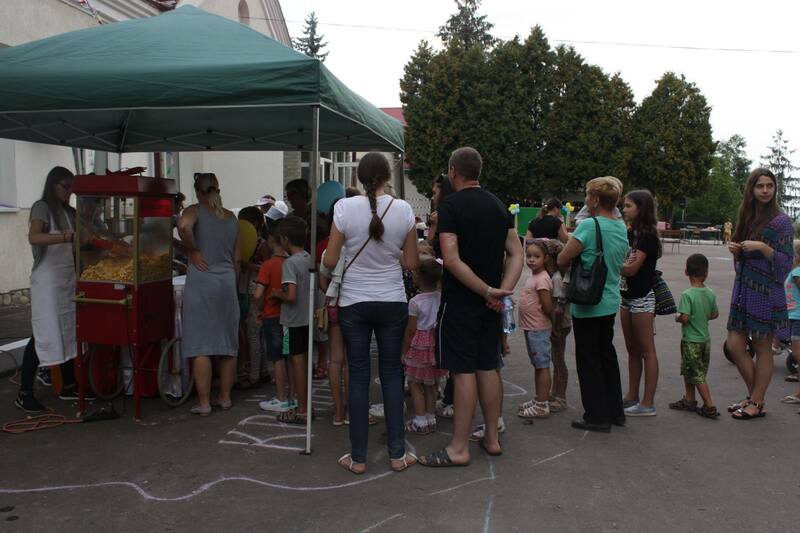 Big thanks to all our partners who donated toward this project. 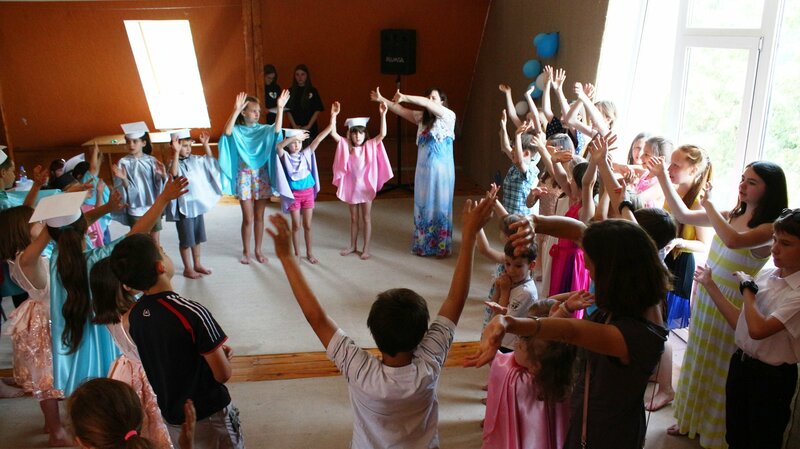 Camp for underprivileged children Kiev region, Ukraine. 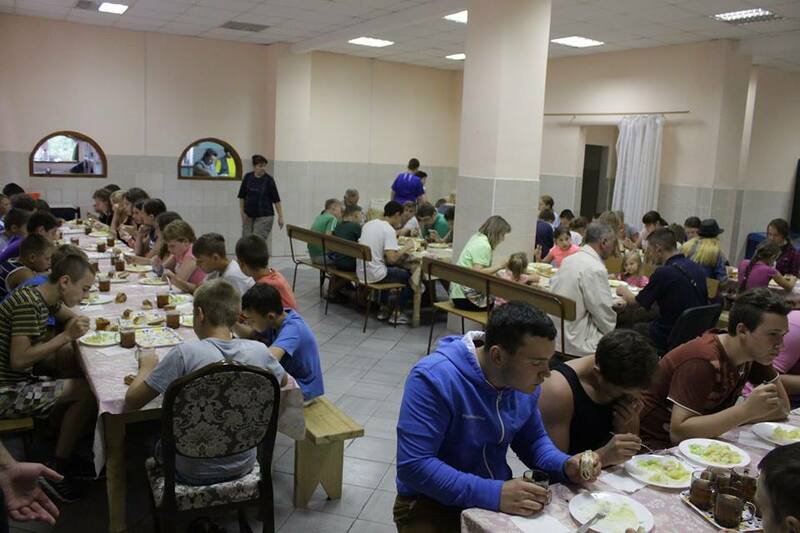 This summer Hope For Ukraine cosponsored camp for underprivileged children in Kiev region, Ukraine. 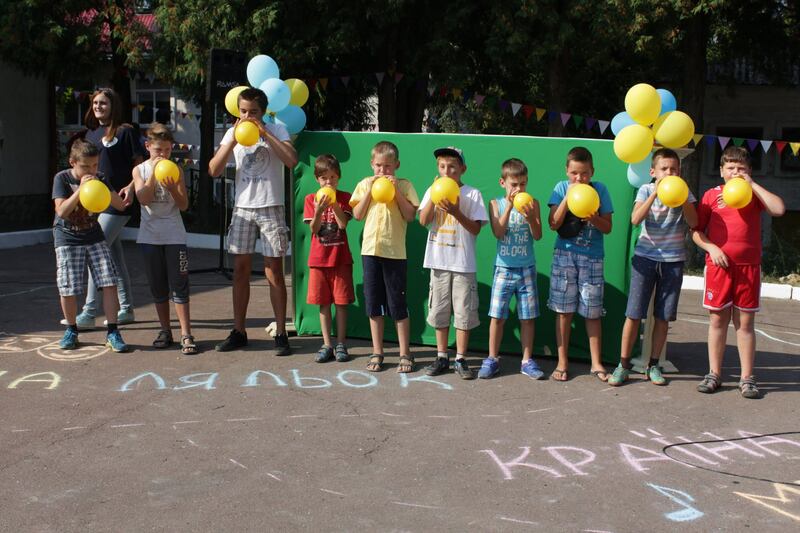 Big thanks to all our partners who donated toward this project. 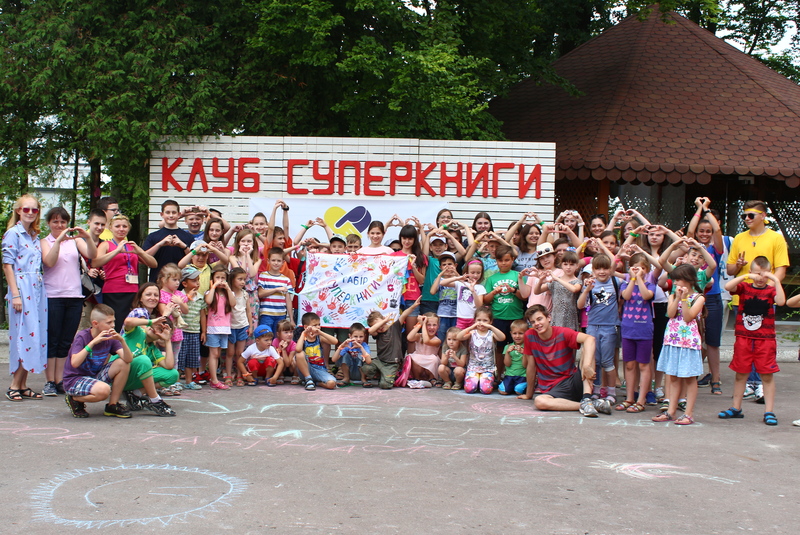 Camp for children from conflict zone Lviv, Ukraine. 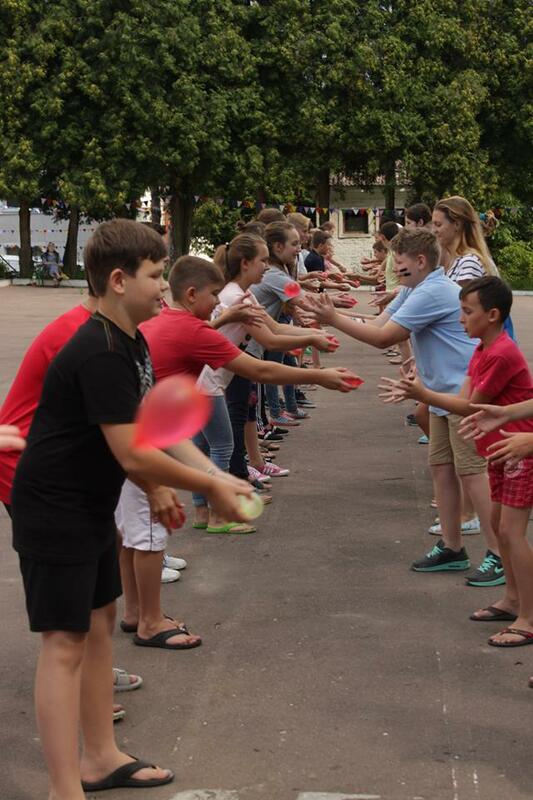 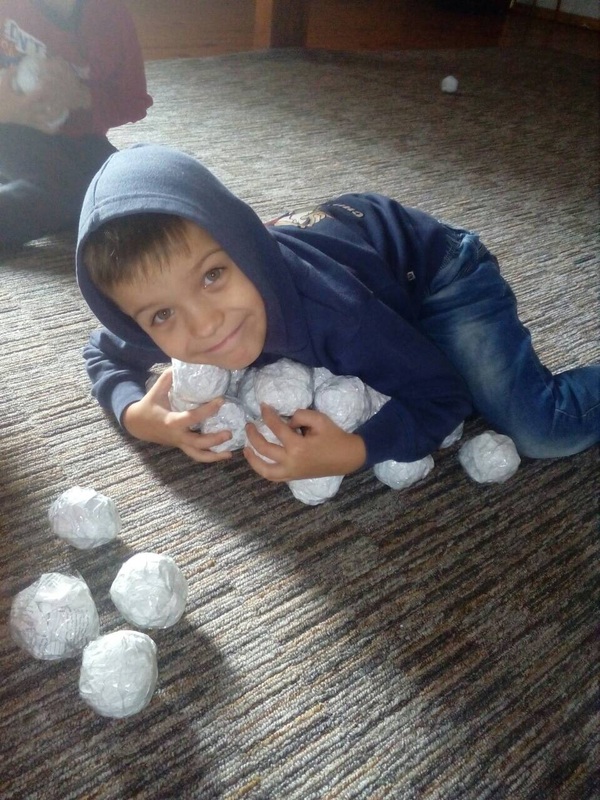 July 16-30 together with our partners Hope For Ukraine will be bringing over 50 kids from Krasnohorivka, Donetsk region to get some peace and rest from scenes of war that these kids experience every day. 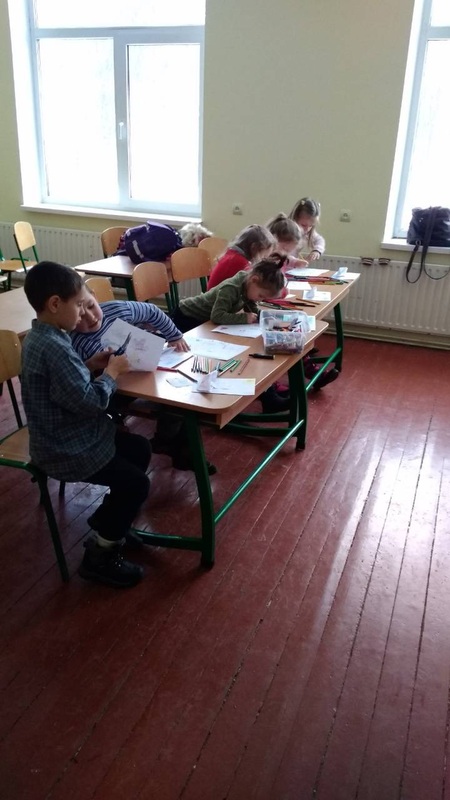 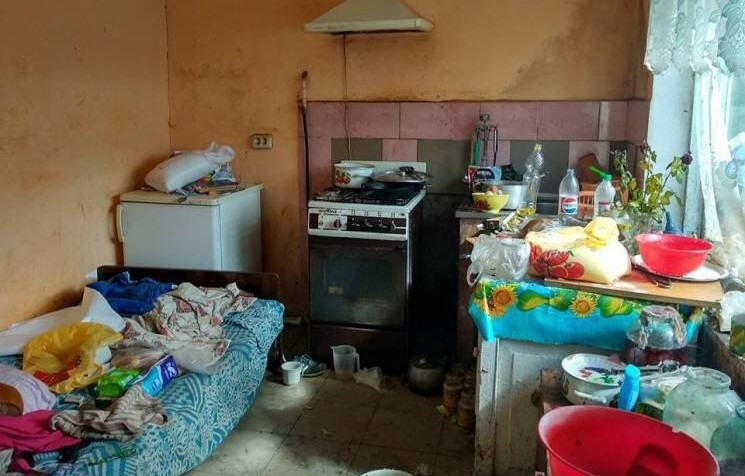 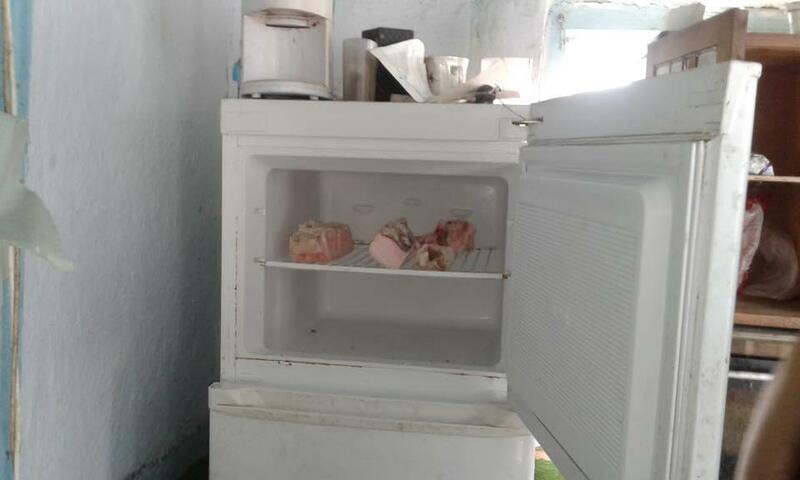 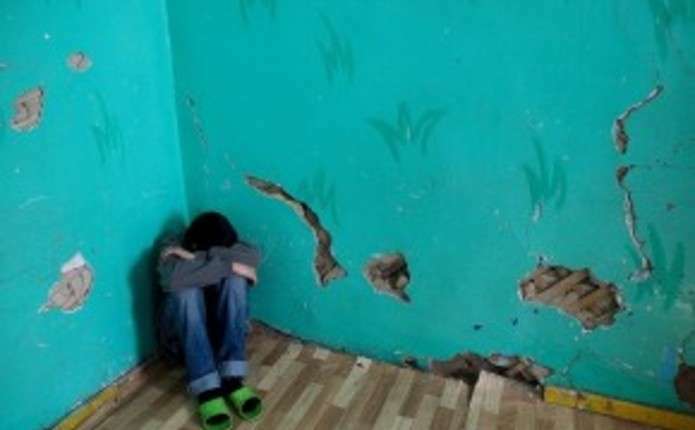 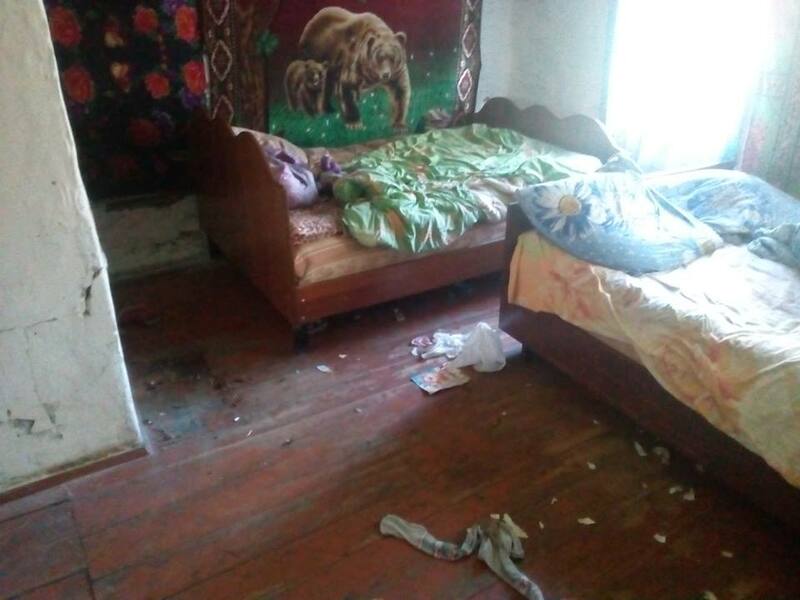 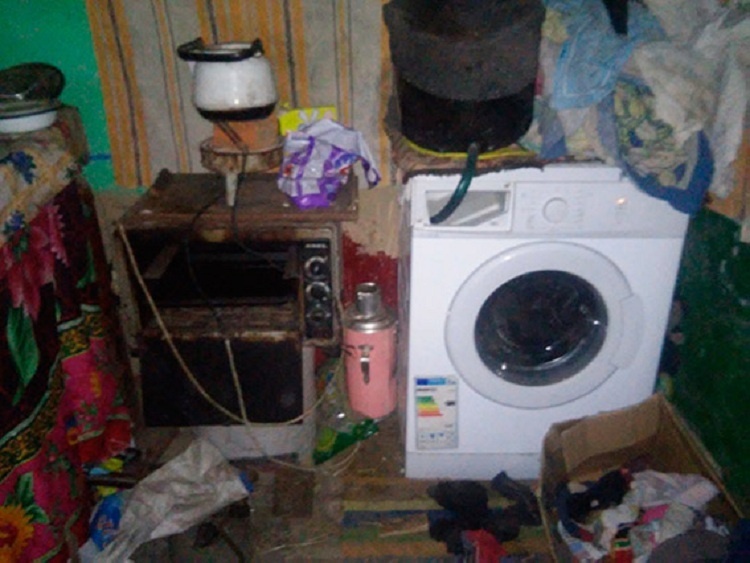 Just on May 28th three local residents were wounded and 42 buildings (40 private residences, a town hospital and a comprehensive school) were damaged as a result of Sunday shelling of town of Krasnohorivka in Donetsk region by militants.